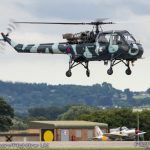 The 2017 RNAS Yeovilton International Air Day marked 70 years of airshows at the Somerset base. 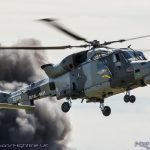 Over those 70 years, Yeovilton has showcased the very best of the Royal Navy alongside visitors from the other UK armed services and international partners. 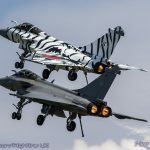 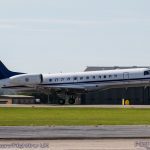 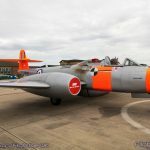 Air Day 2017 was however a very different event to those that had gone before. 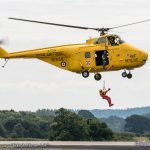 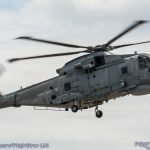 As the Royal Navy works up to a new era of aviation, particularly within the Commando Helicopter Force, many of the usual participants were absent. 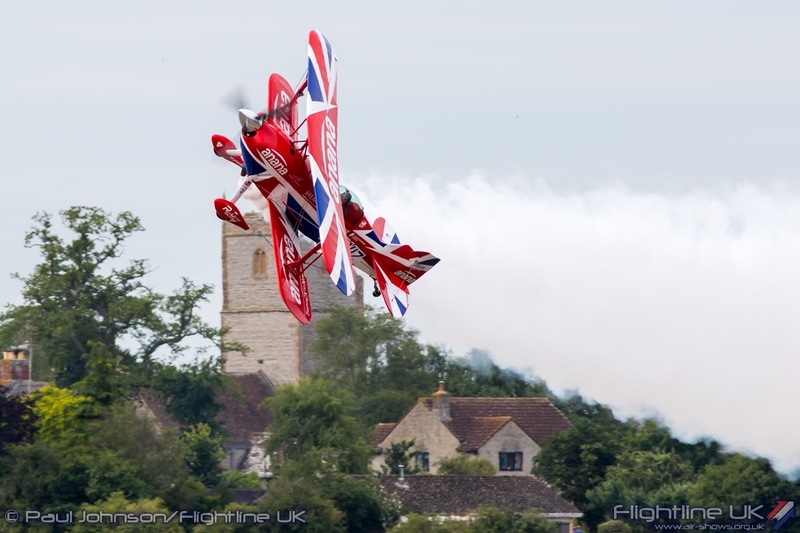 However these not detract from Air Day being one of best airshows of the year. 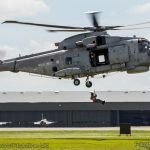 It is very exciting times for the Royal Navy. 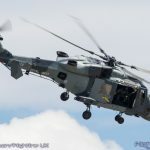 Just two weeks prior to the Air Day weekend, the largest ever vessel to serve with the service, the HMS Queen Elizabeth, sailed from Rosyth for the first of its sea trails. 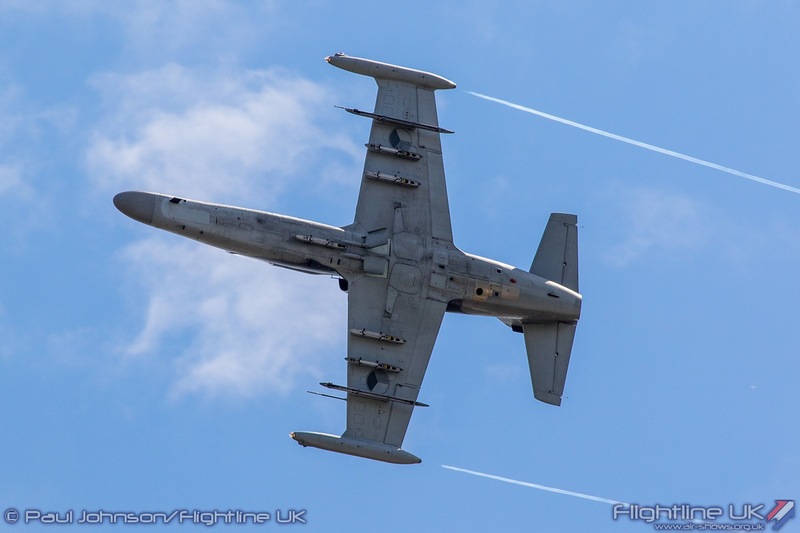 Over in the United States, the Royal Navy continues to work alongside the Royal Air Force to bring the F-35B Lightning II into UK service to operate from the decks of the new aircraft carriers. 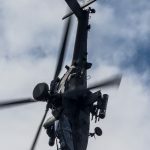 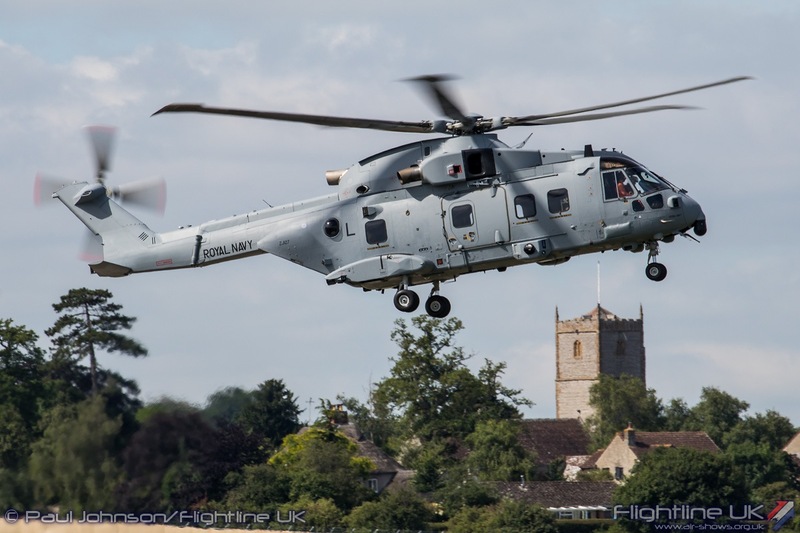 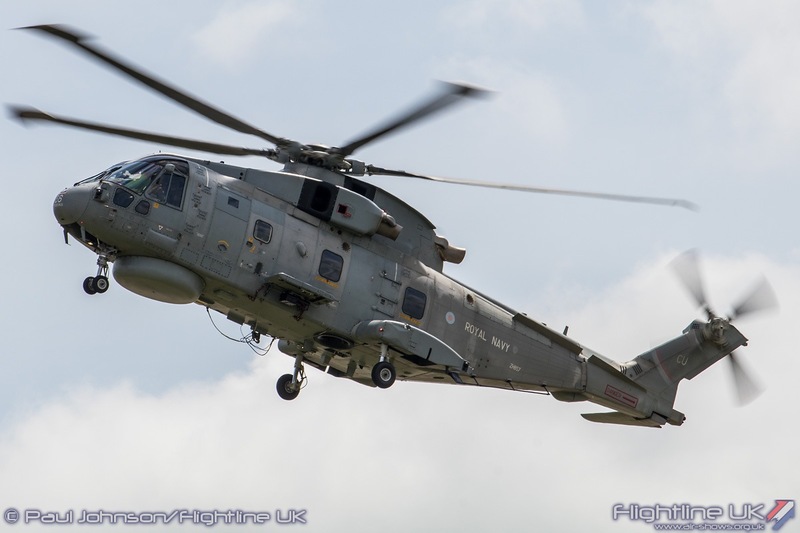 Closer to home, both RNAS Culdrose and Yeovilton are seeing the arrival of new equipment with the Sea King ASaC7 due to be replaced by Merlins using “CROWSNEST” and the Commando Helicopter force transitioning to the Wildcat AH1 and Merlin HC4. 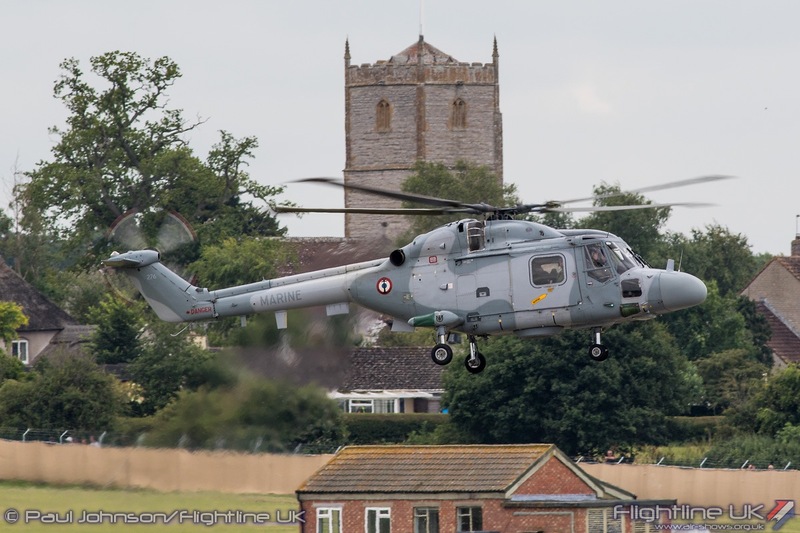 Wildcat HMA2s earlier this year replaced the venerable Lynx equipping 815 and 825 Naval Air Squadrons. 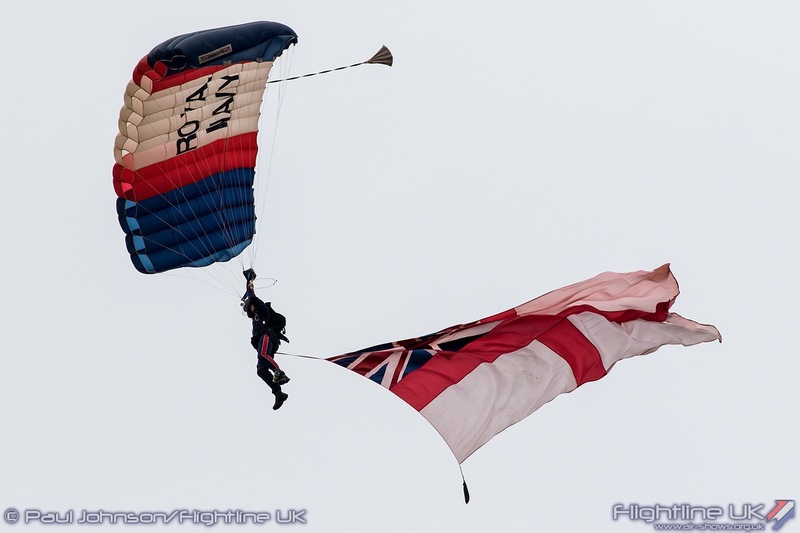 Air Day is an annual shop-window for the Royal Navy to show the local and wider community the work of the Fleet Air Arm and the wider Royal Navy. 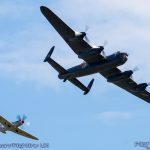 2017 saw the event blessed with very warm weather and some early high cloud which broke into blue skies by the afternoon. 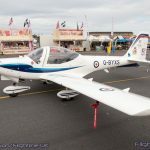 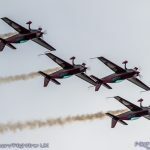 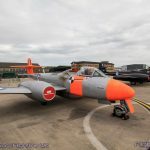 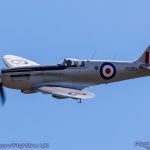 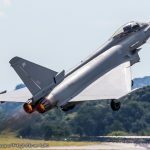 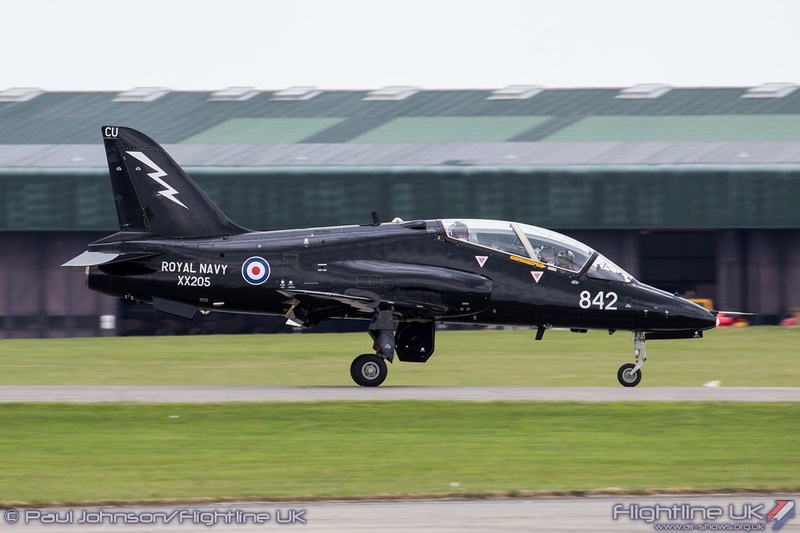 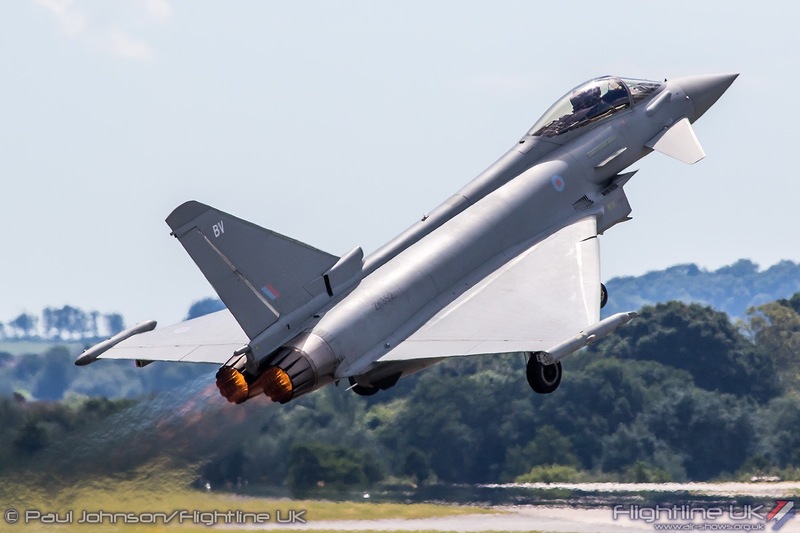 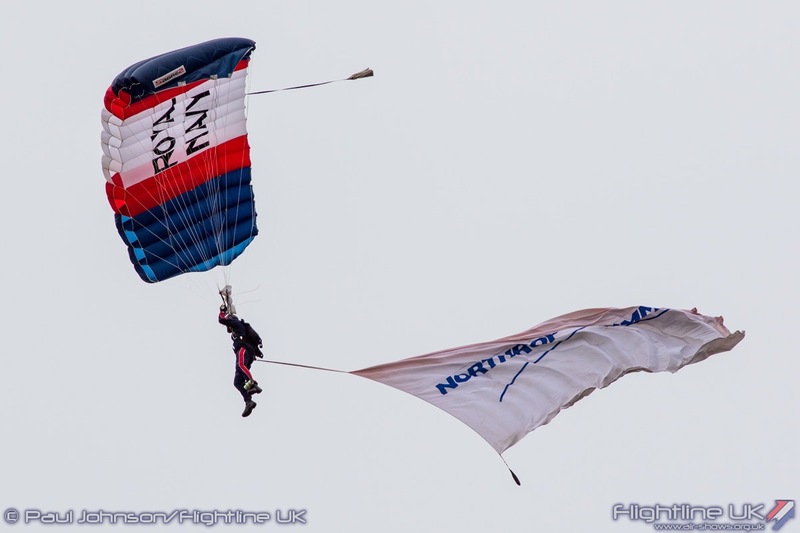 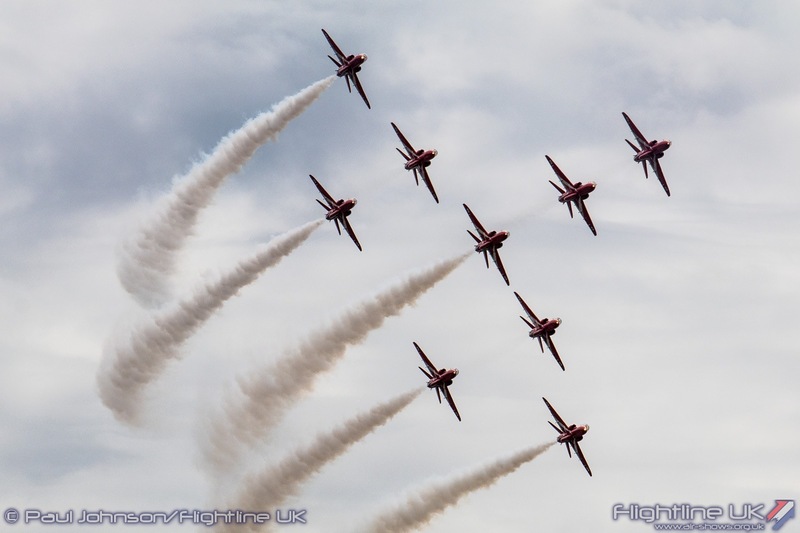 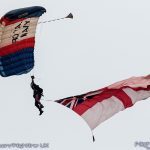 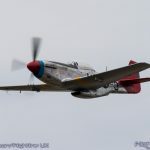 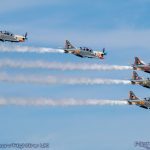 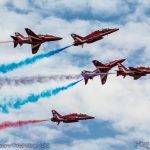 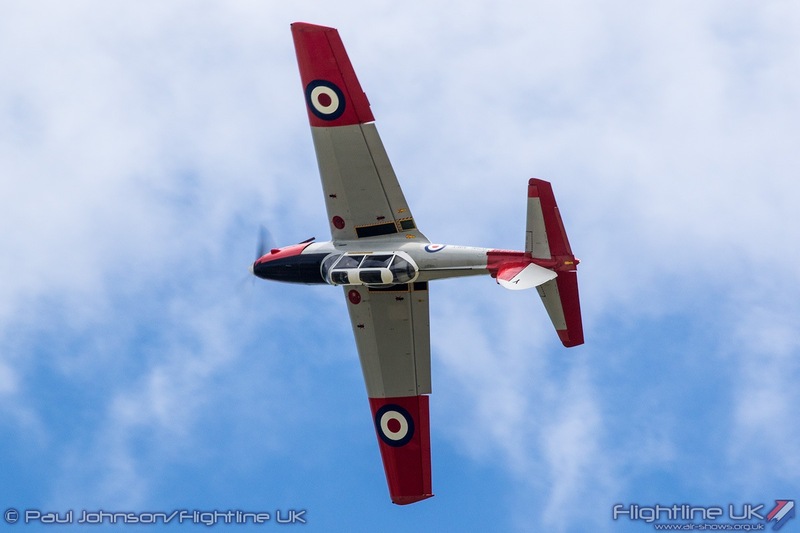 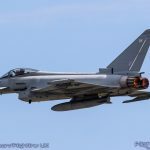 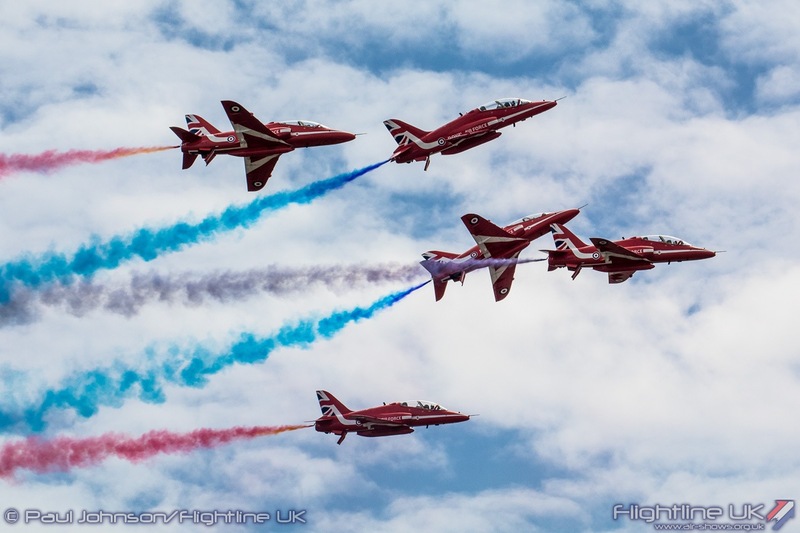 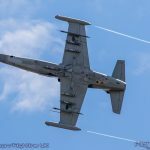 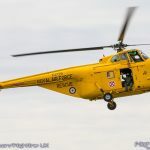 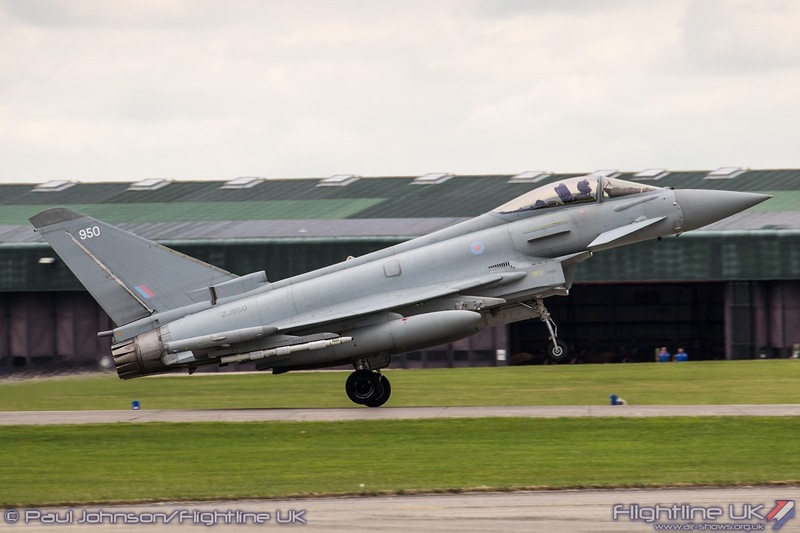 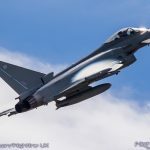 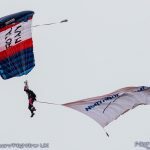 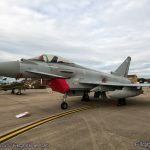 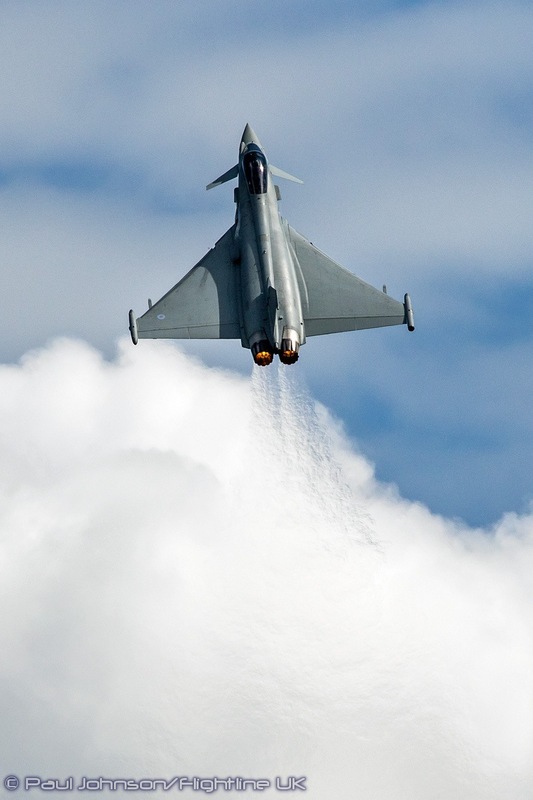 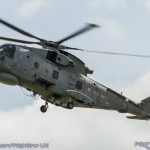 Though the event does revolve around aviation, the show really is a very full day out with all manner of displays and exhibitions from various branches of the Royal Navy and other armed services plus the Aerospace and Engineering industry. 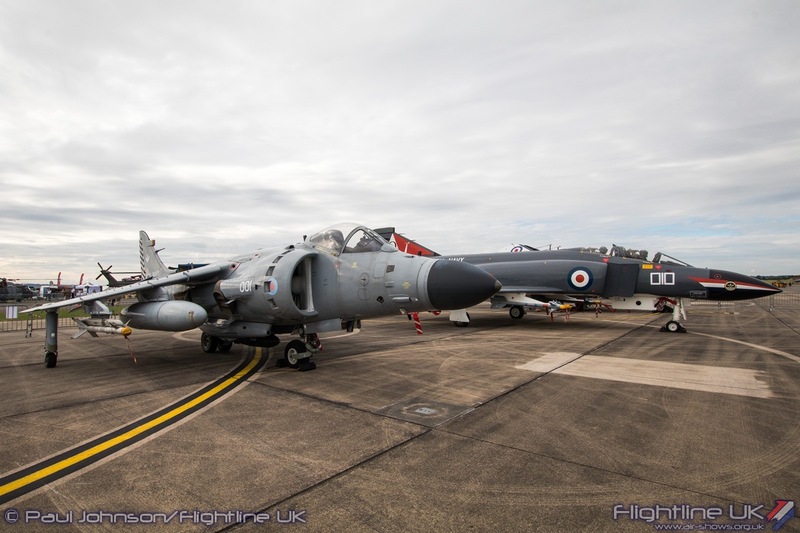 There are also displays of classic cars, super cars and the famous Royal Navy Field Gun Run. 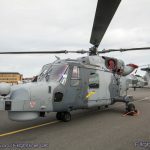 The rapid changes in Royal Navy equipment and the carrier build-up did have consequences for Air Day in both the flying and the static displays with fewer aircraft on show from the ‘home team.’ The Leonardo Wildcat HMA2s and a 847NAS Wildcat AH1 featured in the hangar displays as well as the static display , and there were also examples of the Leonardo Merlin HM2 and HC3i on show. 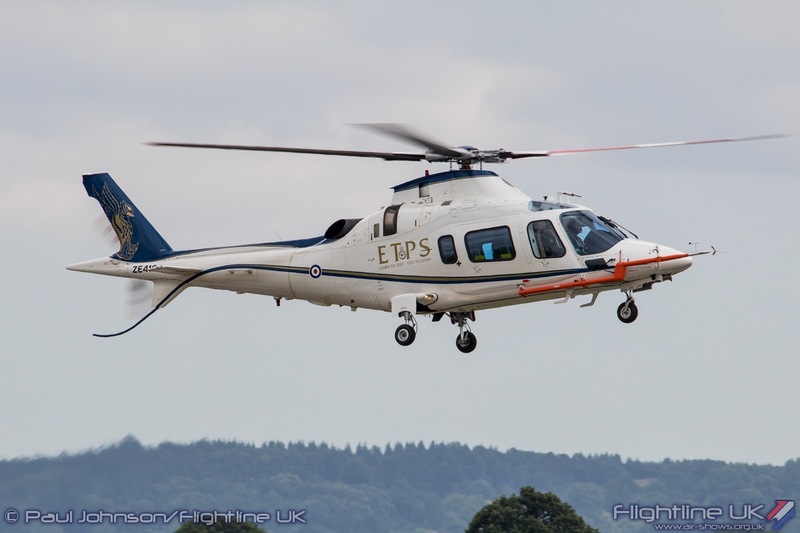 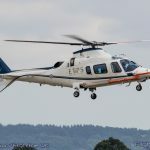 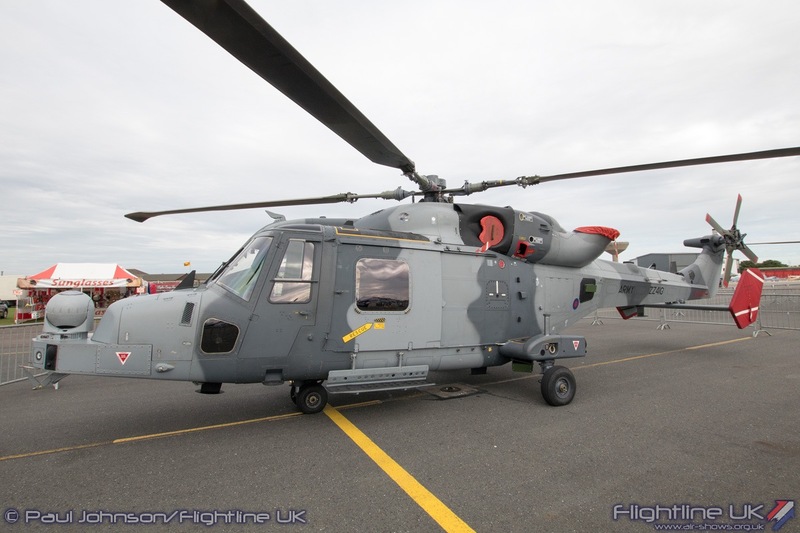 Most significant for Yeovilton however was the UK debut appearance of the Leonardo Merlin HC4. 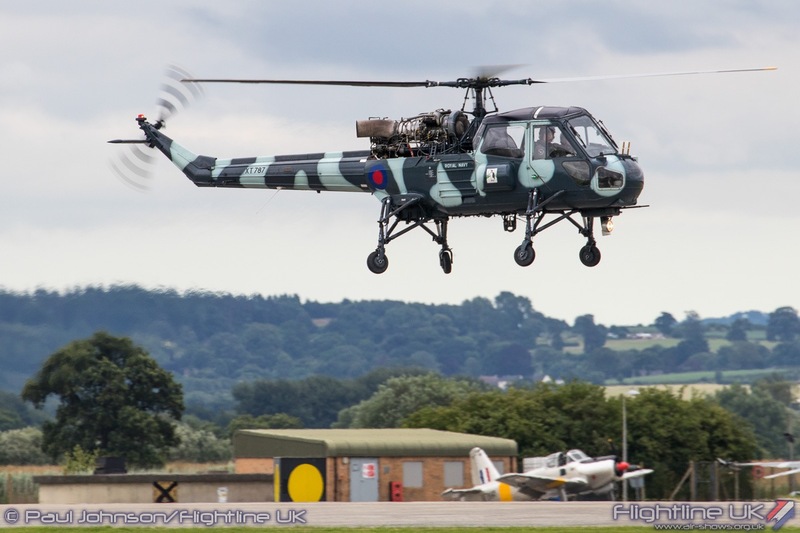 This aircraft is the future of the Commando Helicopter Force and is currently undergoing trials. 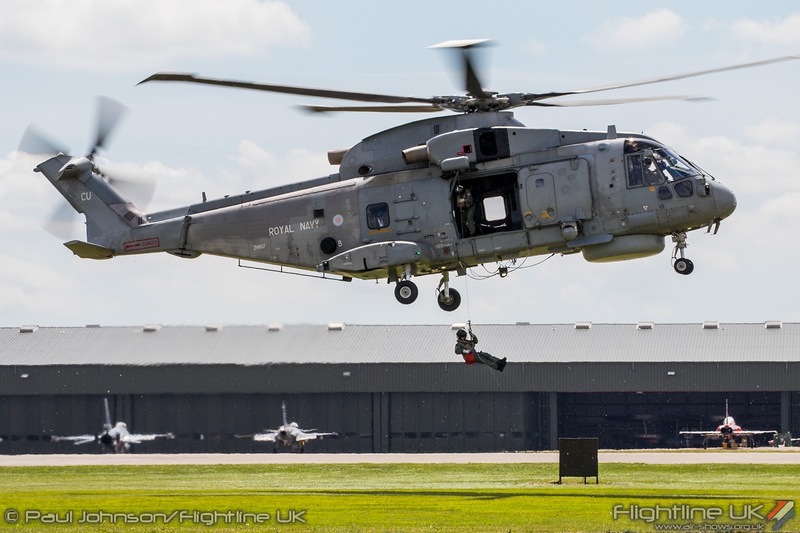 If differs from the HC3i variant it replaces by having fully foldable rotors and tail boom, plus a number of other enhancements making it more capable and adaptable for Royal Navy services. 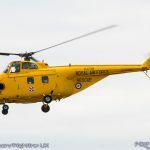 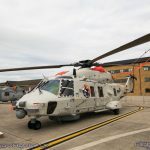 Alongside the Merlins was the Westland Sea King ASaC7, the last variant of the mighty Sea King left in service in the UK. 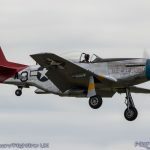 The Lockheed Martin F-35B Lightning II was represented by one of the full-sized replicas that are often exhibited at airshows around the world. 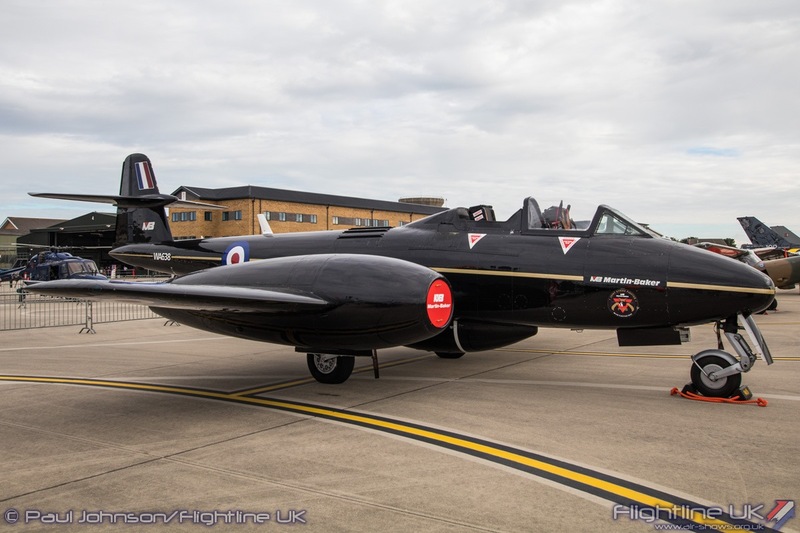 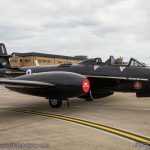 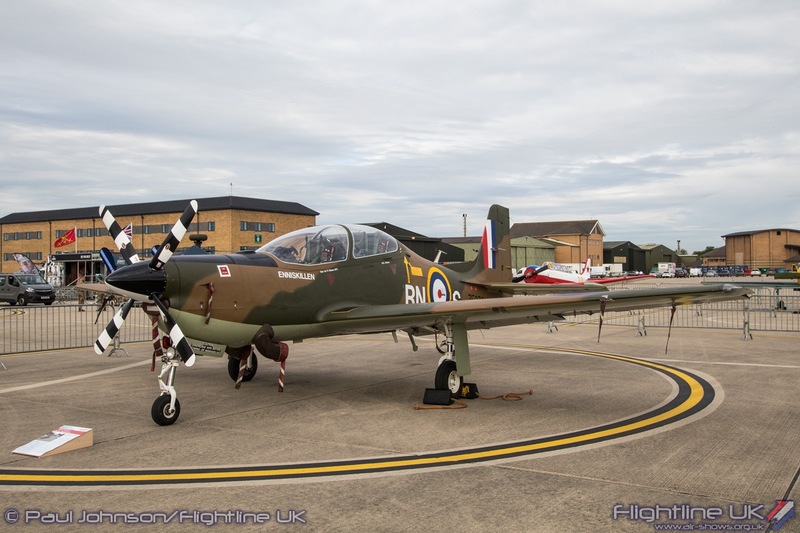 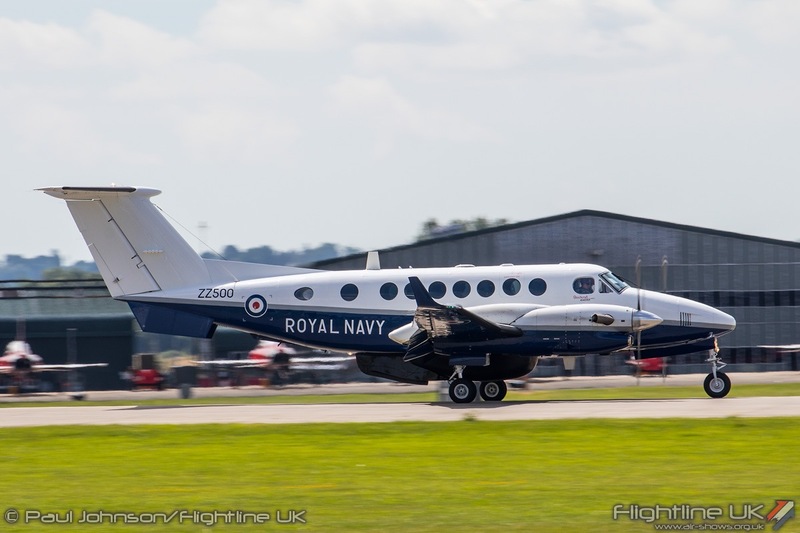 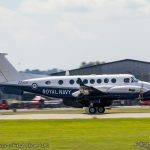 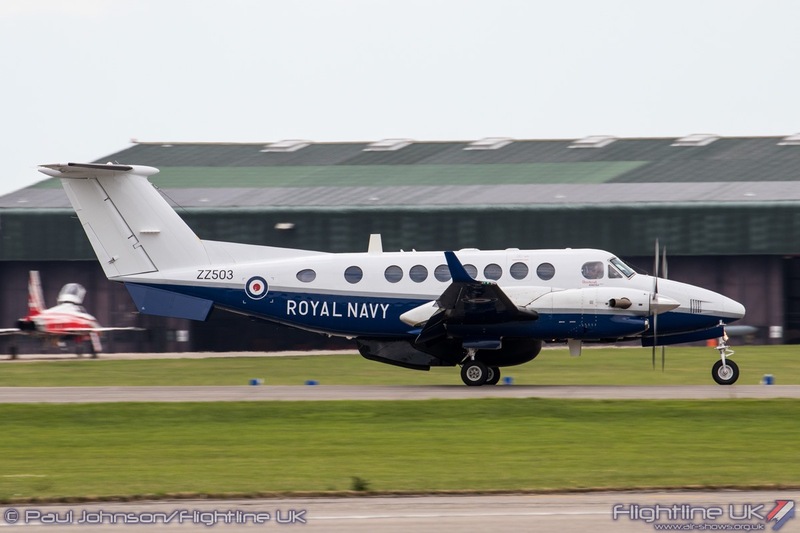 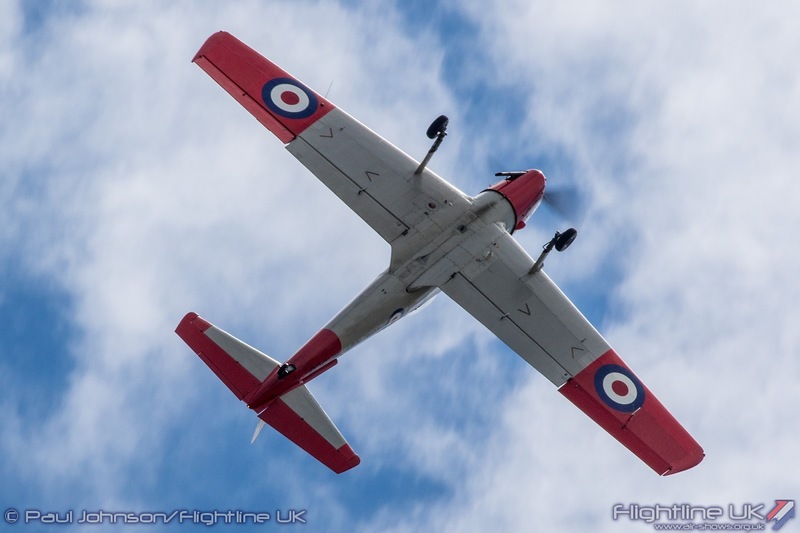 Completing the modern day Royal Navy fleet in the static display were some of service’s training types including the Beechcraft Avenger T1 from 750 NAS, Grob Tutor T1 from 727 NAS and the BAE Systems Hawk T1 from 736NAS. 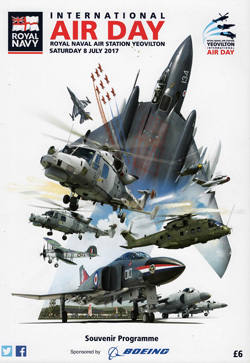 However, the development of the Fleet Air Arm was well represented by historic types. 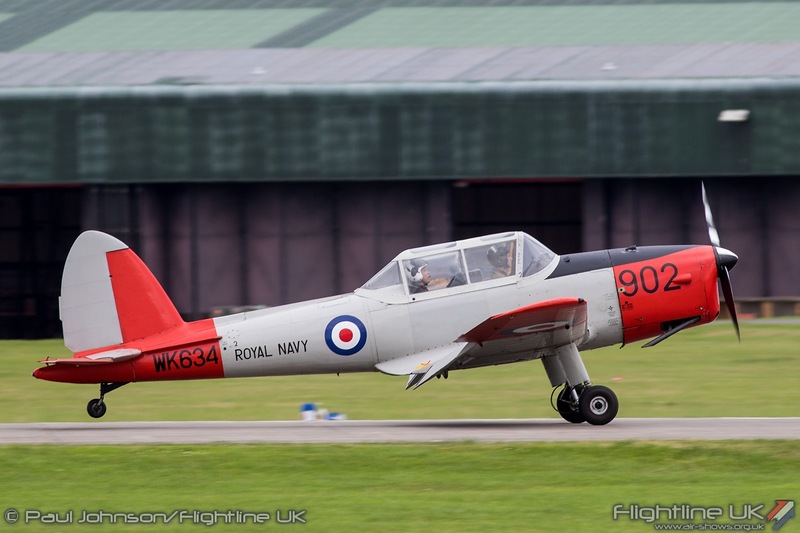 The Royal Navy Historic Flight has had a tough few years were various issues on its aircraft. 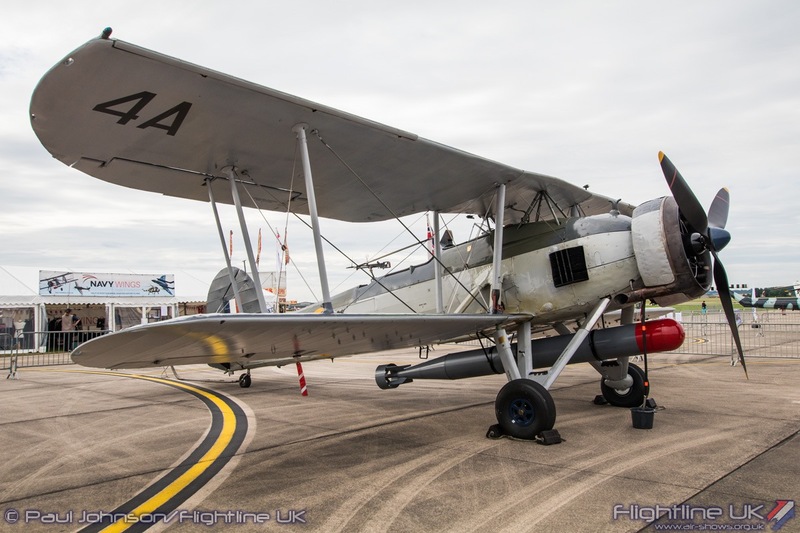 However, it did show off both Fairey Swordfish and the Sea Fury FB11 on static display. 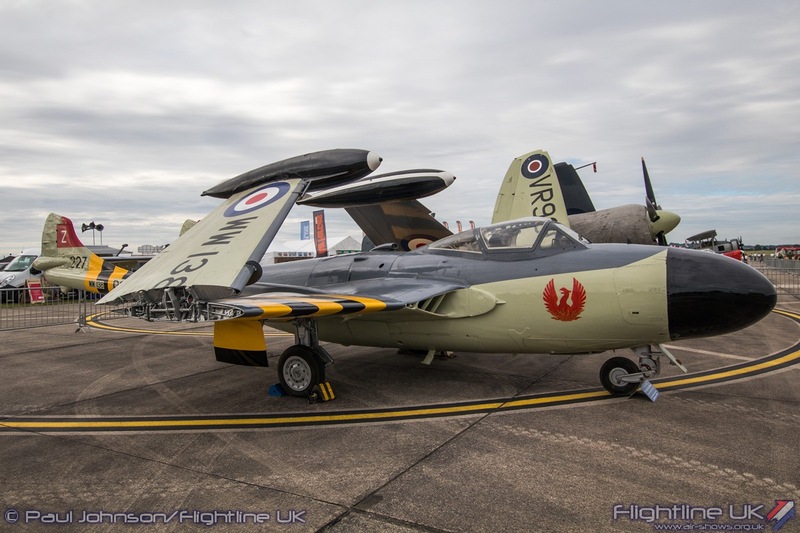 The Fleet Air Arm Museum also contributed to the static display with its de Havilland Sea Venom FAW21 and Westland Wessex HU5 catching some daylight. 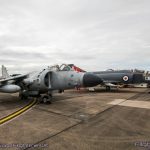 As usual, a BAE Systems Sea Harrier F/A2 was on show alongside the McDonnell Douglas F-4K Phantom II which resides at Yeovilton plus Sea Vixen FAW2 XP924 which was sadly damaged in a wheels up landing earlier in the season. 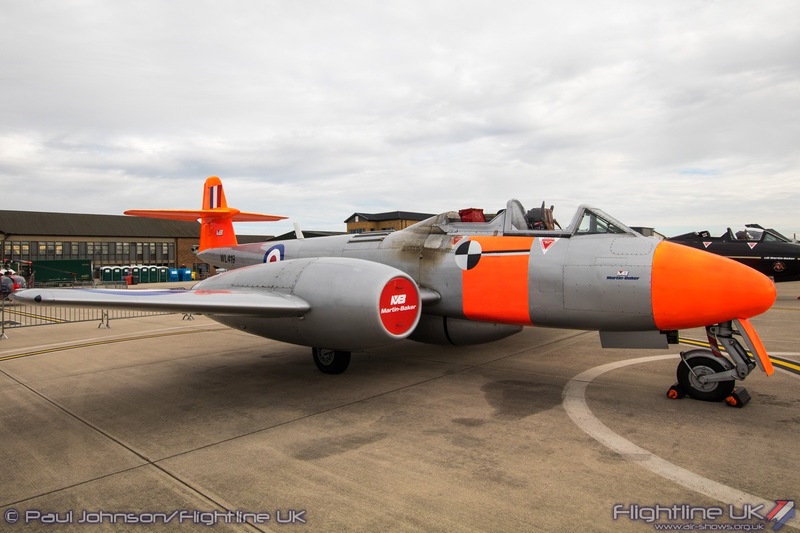 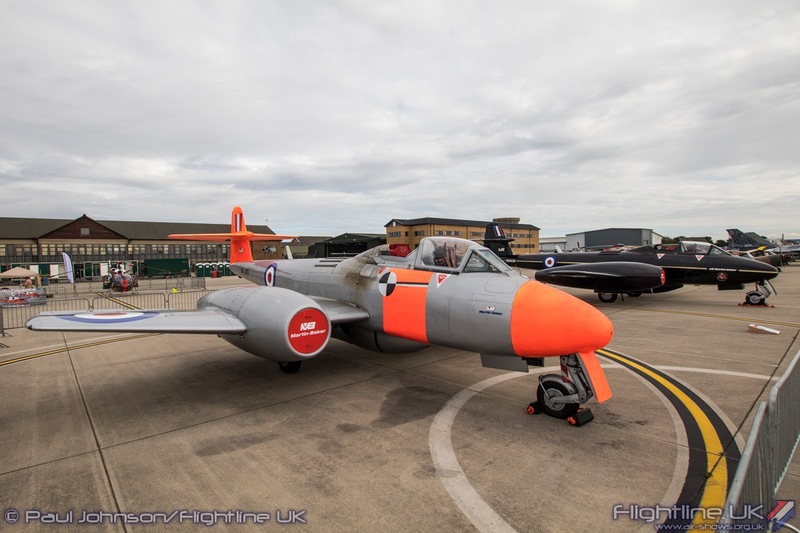 Yeovilton also saw a very rare appearance by both of the Martin Baker Gloster Meteor T7s. 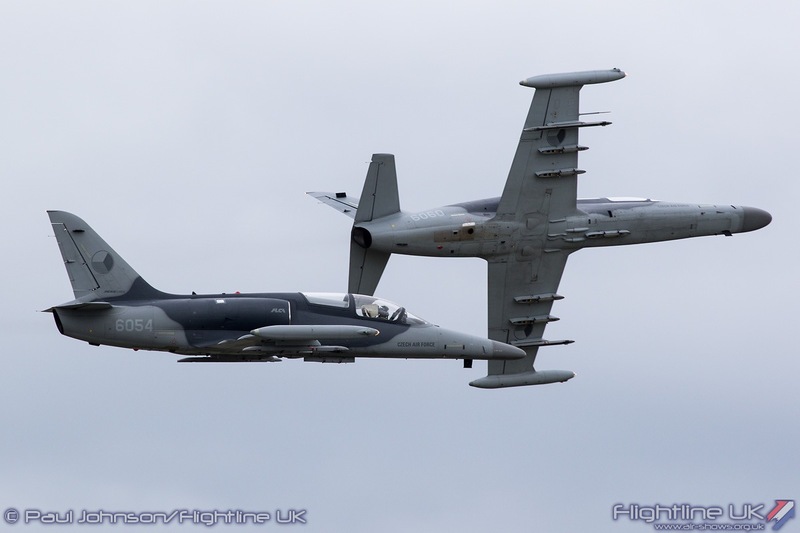 Both these aircraft are maintained for trials works testing ejection systems and are occasionally seen at airshows around the UK. 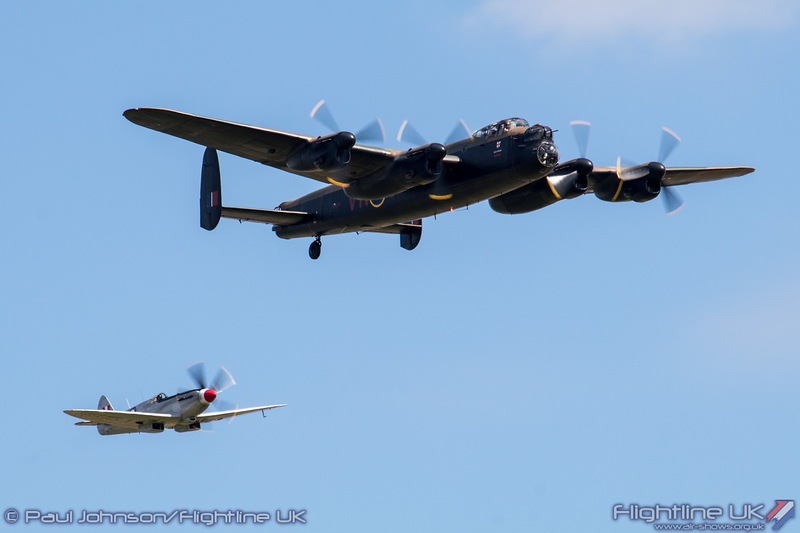 However to see both together is a particularly rare treat. 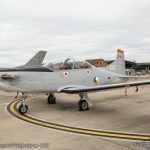 The NavyWings organisation organised a gathering of some of its affiliate aircraft. 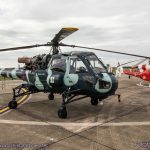 These included examples of the Westland Gazelle HT2 and Westland Wasp HAS1 on display in the static park. 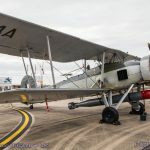 By far the star of their contribution was David Bremner’s beautiful reproduction of the Bristol Scout Type C. The Scout was one of the first aircraft in service with the Royal Naval Air Service and was the first wheeled aircraft to operate from a British ship. 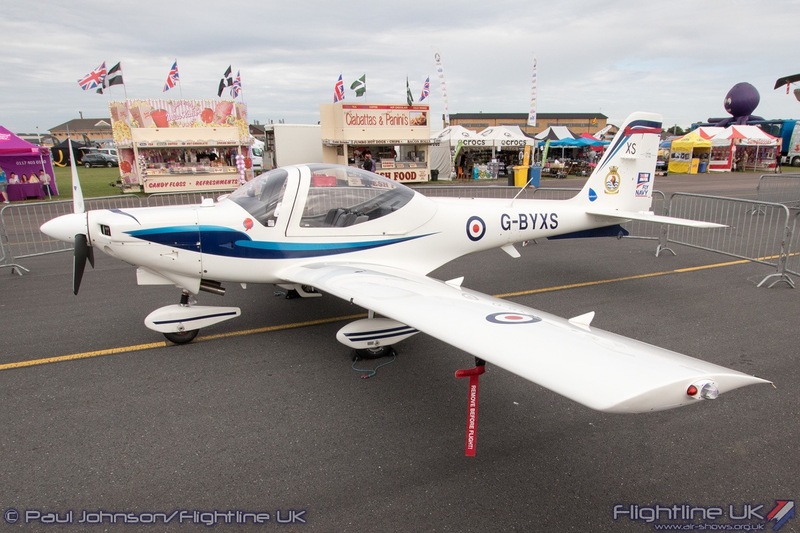 This particular aircraft was built by David Bremner as a tribute to his grandfather, Flt Sub Lieutenant FDH Bremner who flew with No 2 Wing, RNAS in the eastern Mediterranean at the beginning of the First World War. 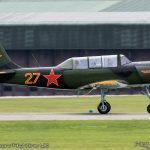 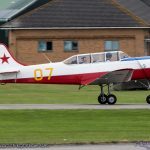 Elsewhere in the static display were example of the DHC-1 Chipmunk T10, Aeronca L3B Defender, Yakovlev Yak-18T and various Yak-52s. 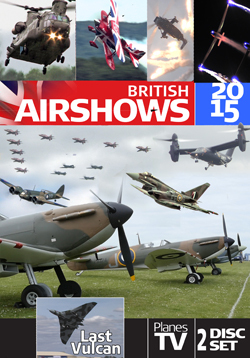 The static display saw a healthy selection from UK and international partner air arms. 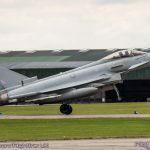 The Royal Air Force had a relatively low ley showing with a Eurofighter Typhoon FGR4 from 1(F) Sqn plus the speciallyt marked Shorts Tucano T1 from 72(R) Squadron who are another unit celebrating their centenary in 2017. 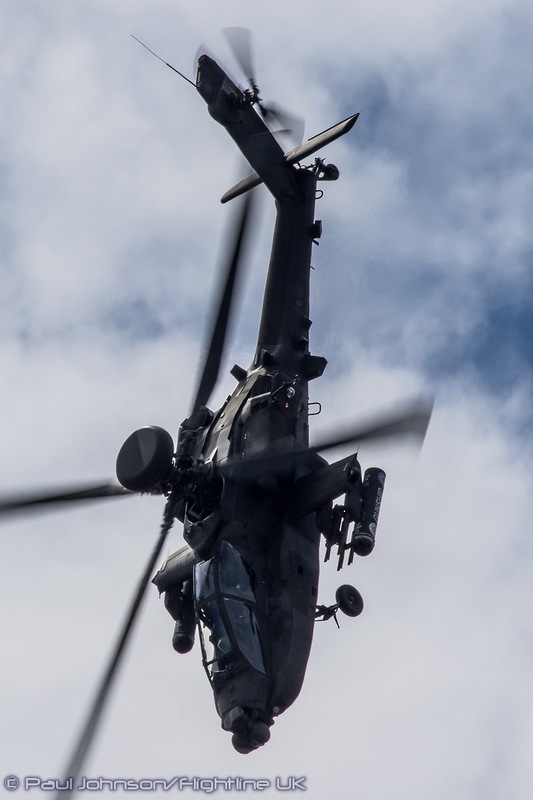 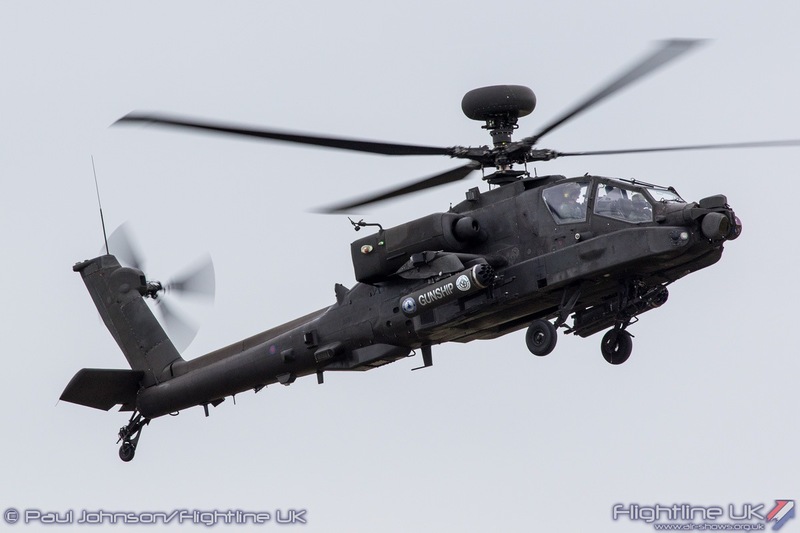 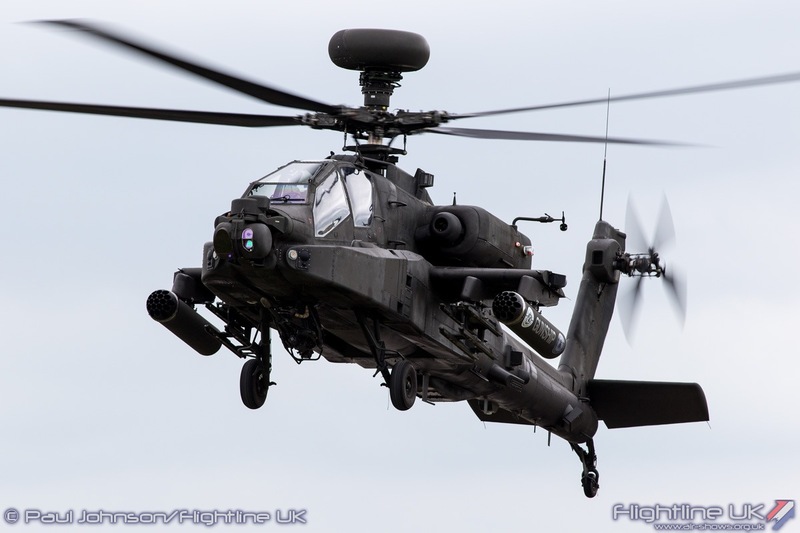 The Army Air Corps were also present in the static park with a AgustaWestland WAH-64D Apache AH1. 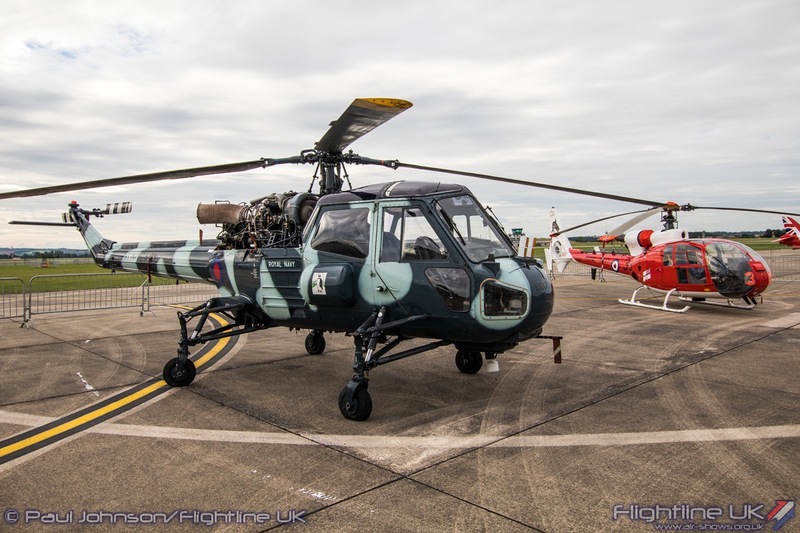 QinetiQ kept up their support of Air Day with an appearance by their very smart Agusta A109E Power. 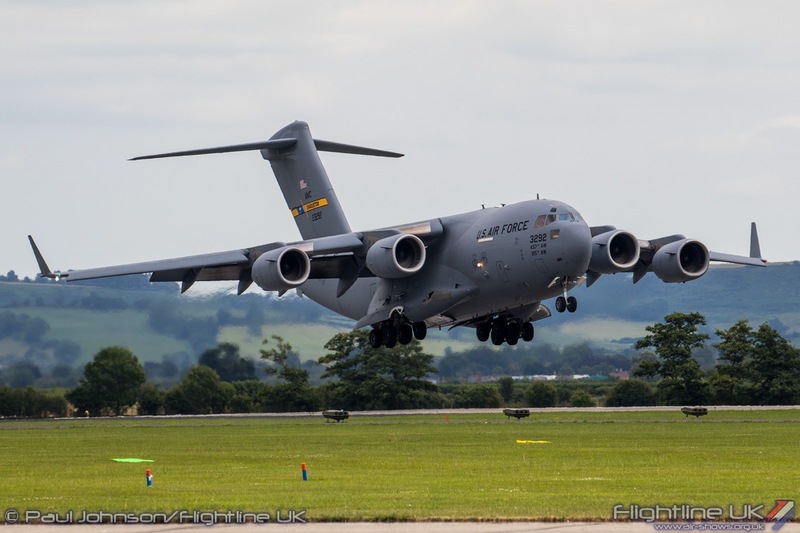 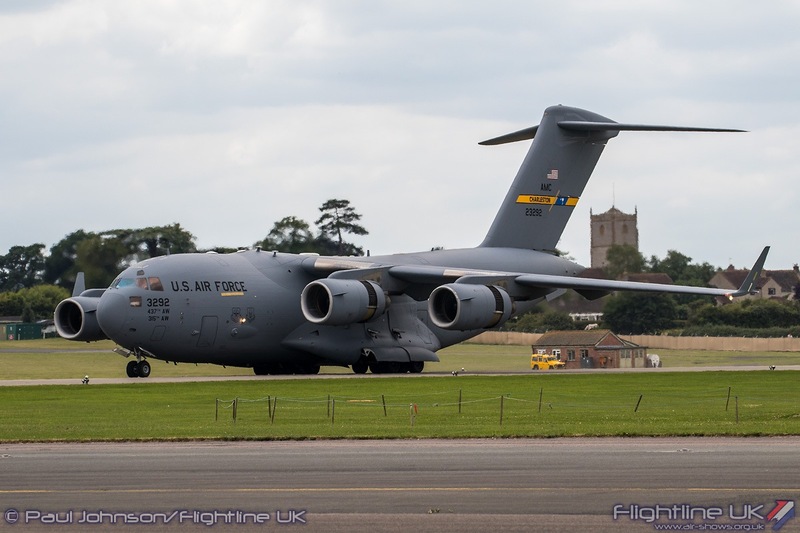 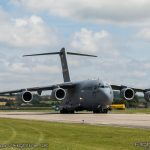 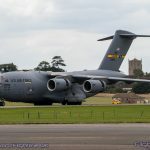 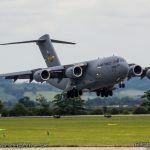 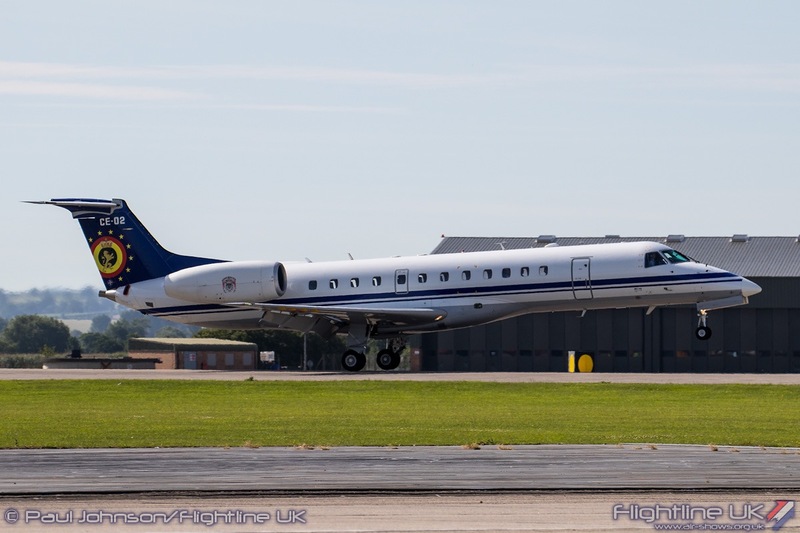 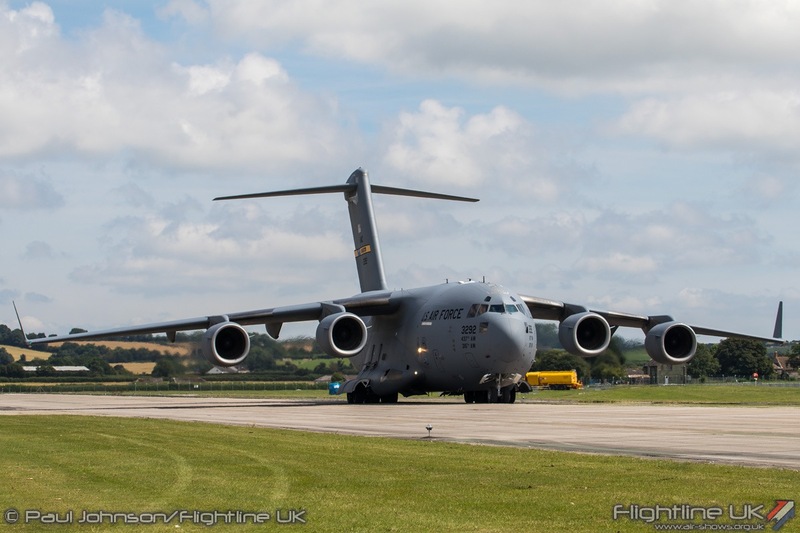 Yeovilton have built up an especially good relationship with the 315th Airlift Wing of the United States Air Force over the past few years and it was great to see them back again with the Boeing C-17A Globemaster III. 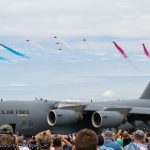 The C-17 simply dominates the static display and is a very popular attraction for the crowd who were able to visit the cargo hold and flight deck. 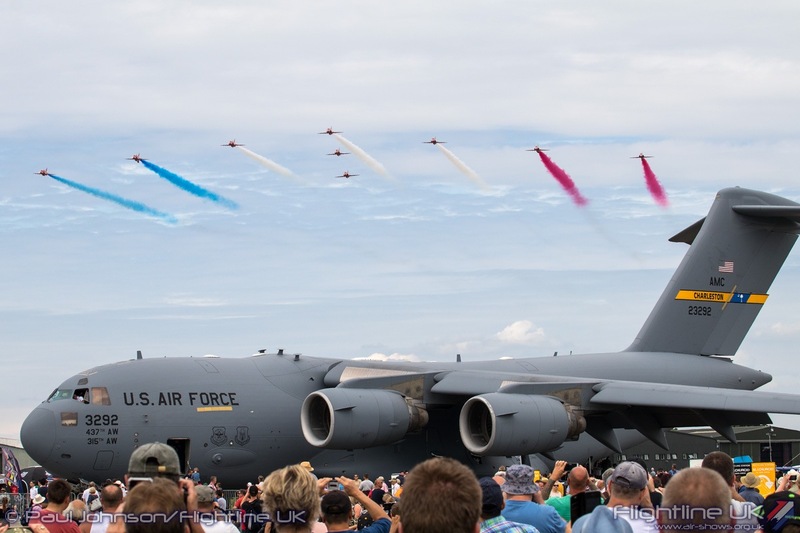 The efforts of the USAF crew were recognised with an award for best static display at the event. 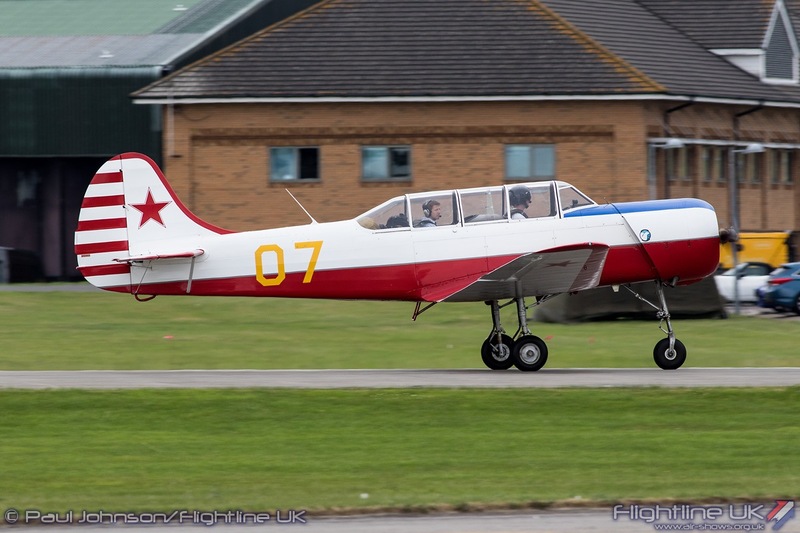 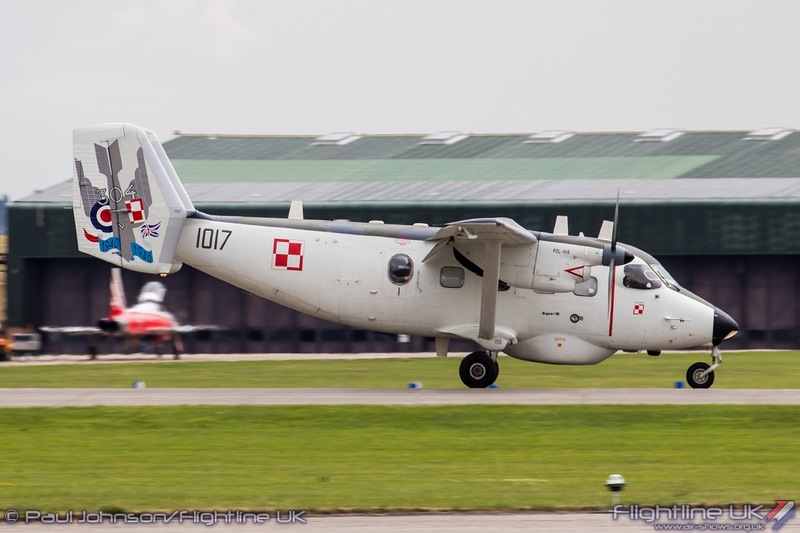 Another popular returnee was the Antonov/PZL An-28B1R Bryza from the Polish Navy. 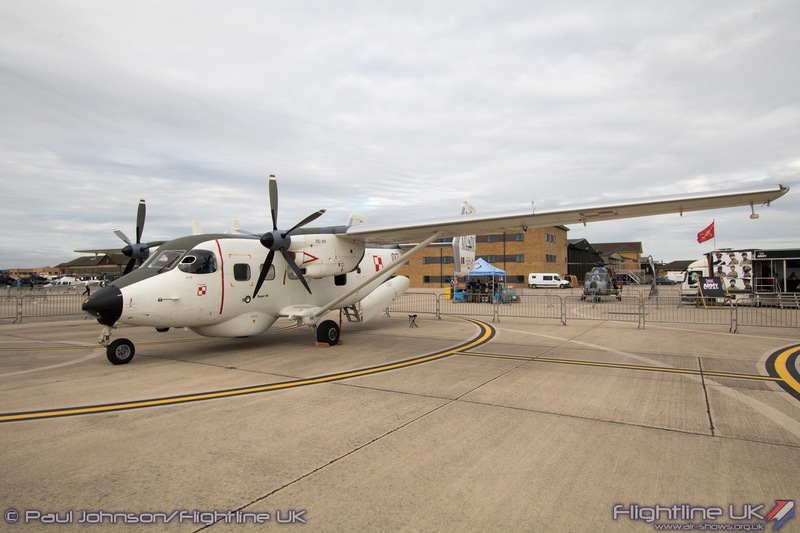 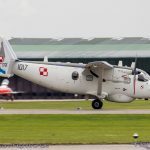 This compact Maritime Patrol aircraft is widely seen around European events and the Poles always put a lot of effort into their exhibition highlighting the important role they play in search and rescue operations as well coastal defence. 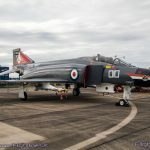 Air Day this year had a good selection of fast jets on show. 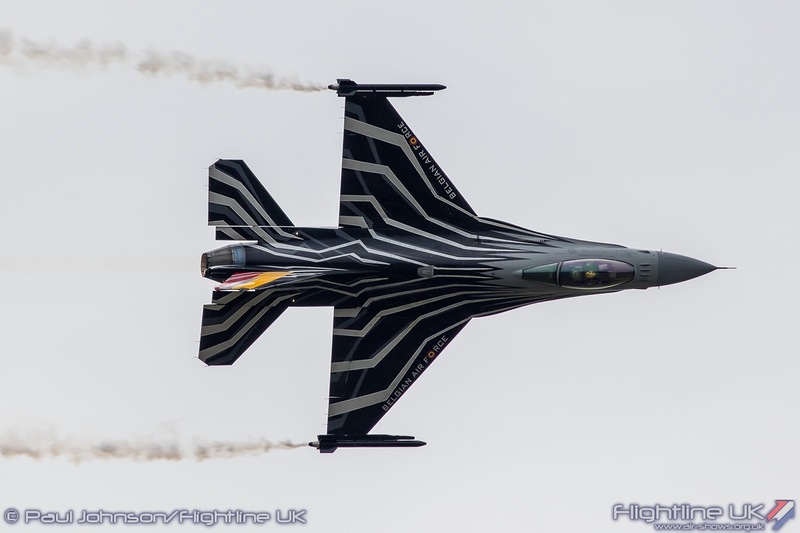 As well as the RAF Typhoon, there was the colourful Lockheed Martin F-16AM Fighting Falcon from 1 sqn of the Belgian Air Force. 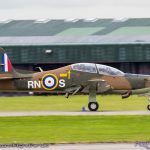 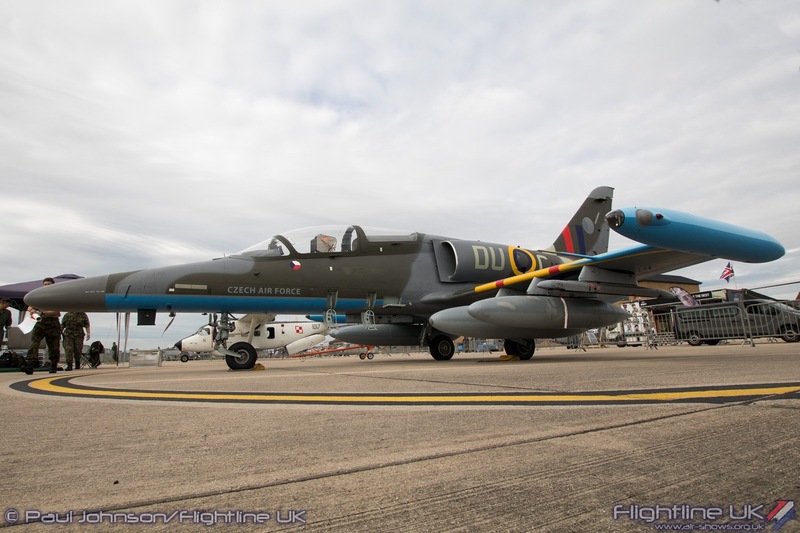 The Squadron, the only unit in the current BAF to trace its routes back to the First World War, is celebrating its centenary this year with a specially marked jet highlights the unit’s Thistle motif. 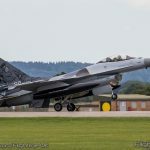 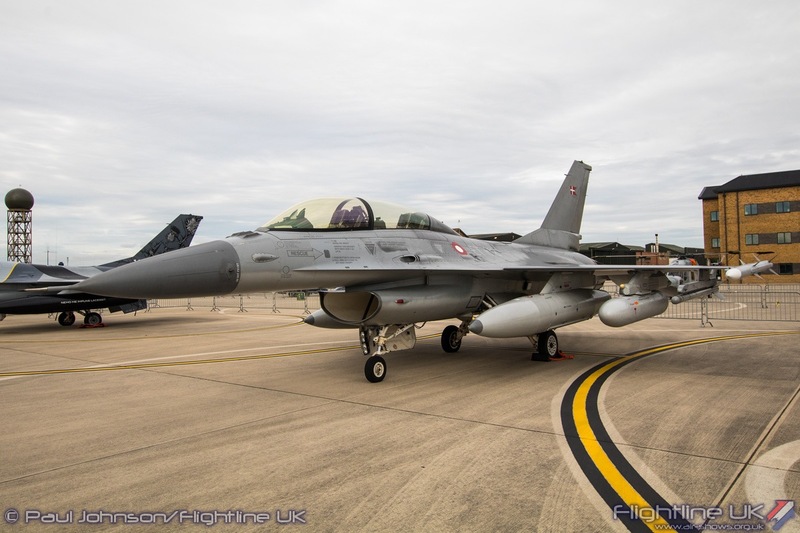 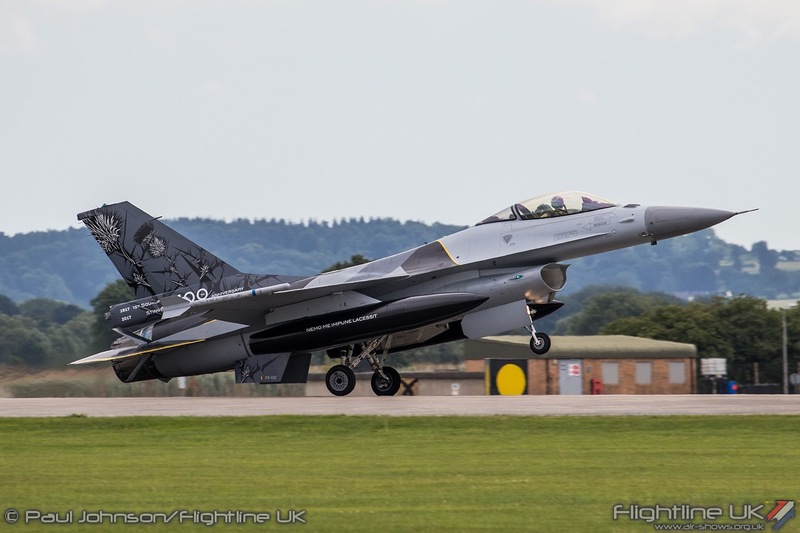 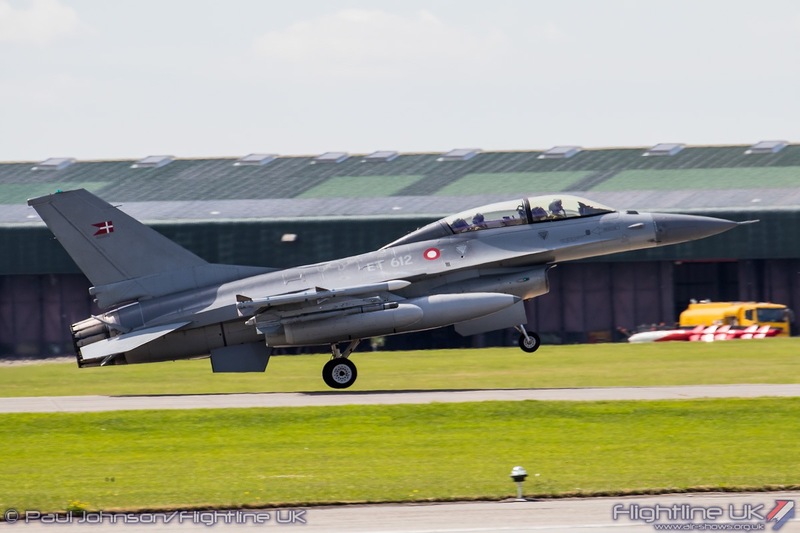 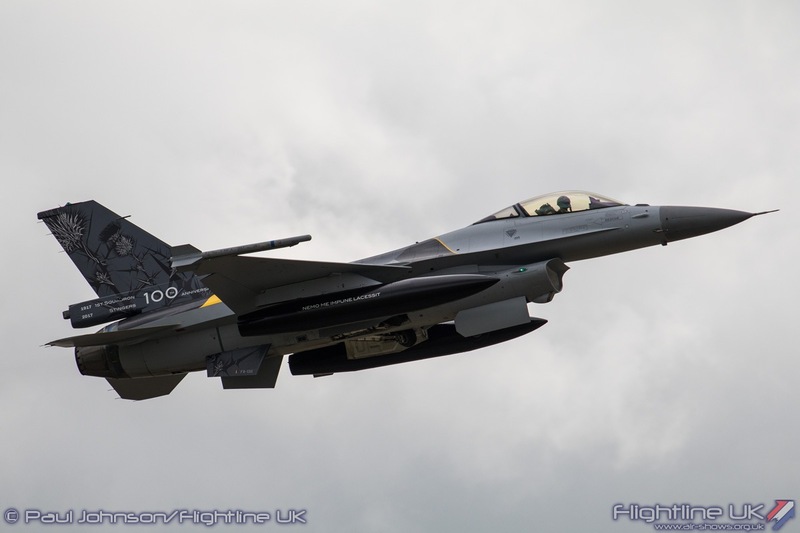 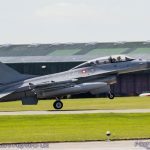 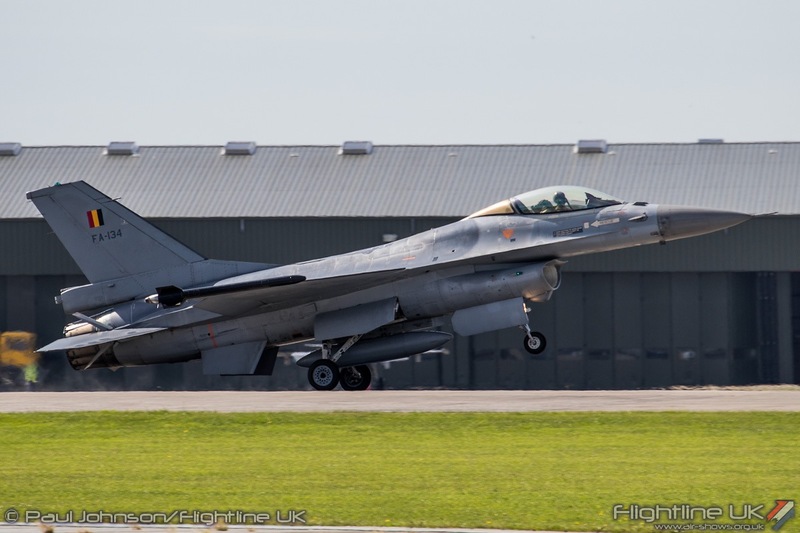 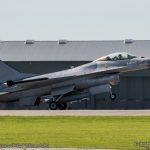 A further F-16BM Fighting Falcon was also on show from the Royal Danish Air Force. 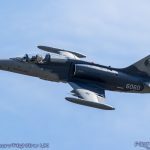 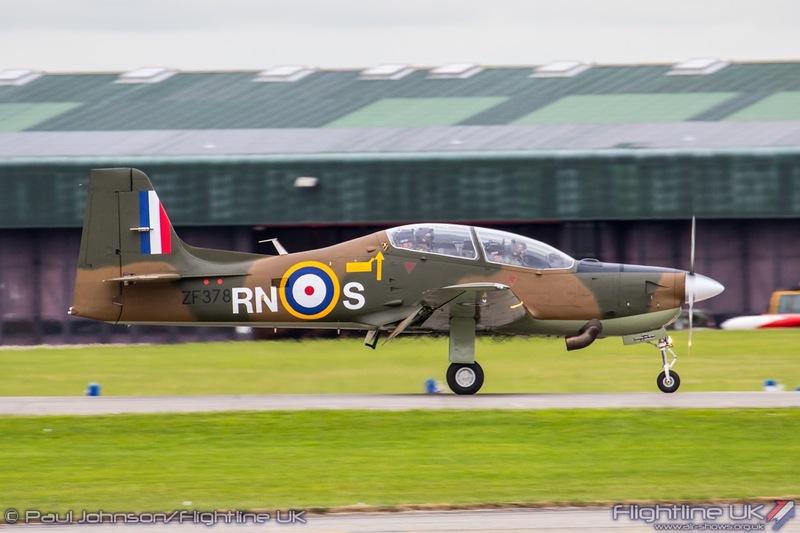 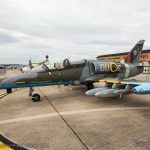 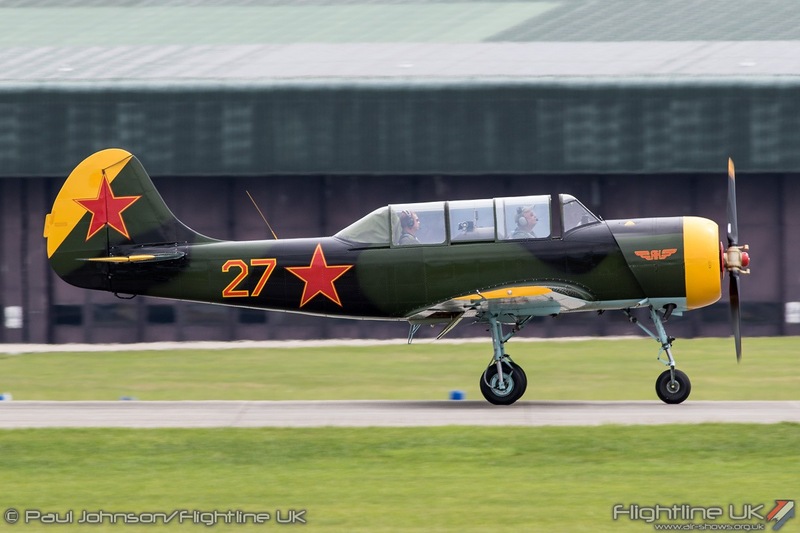 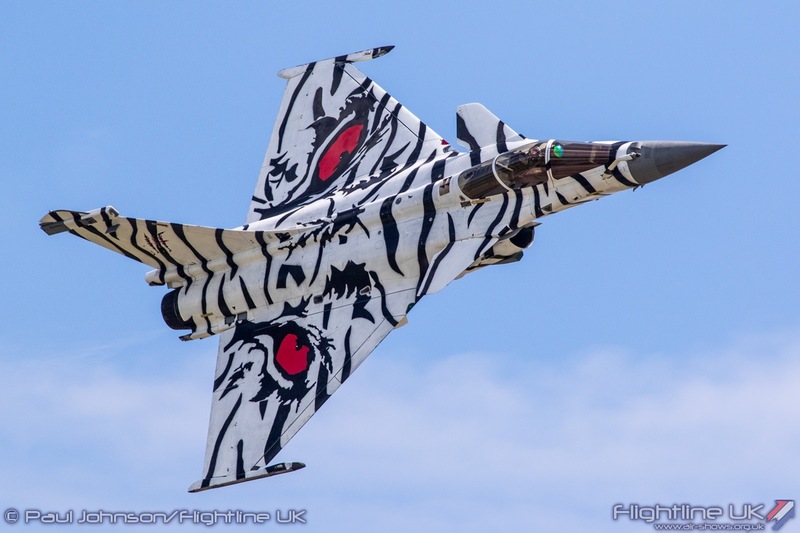 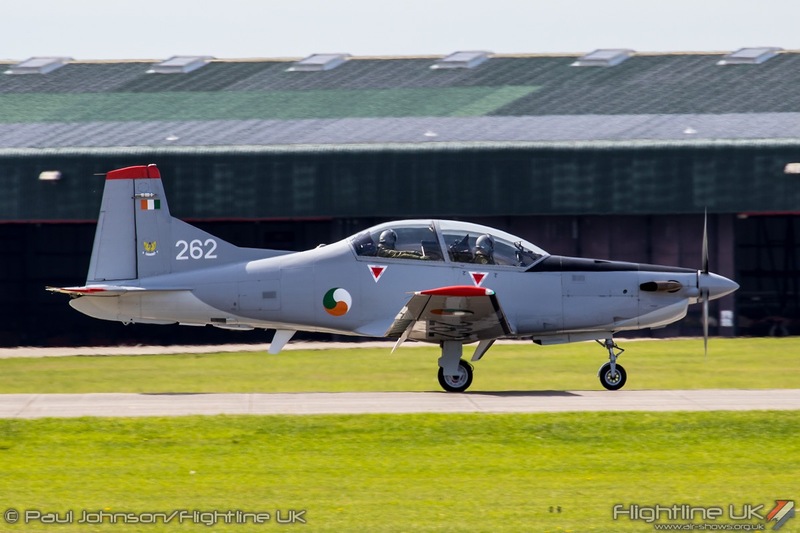 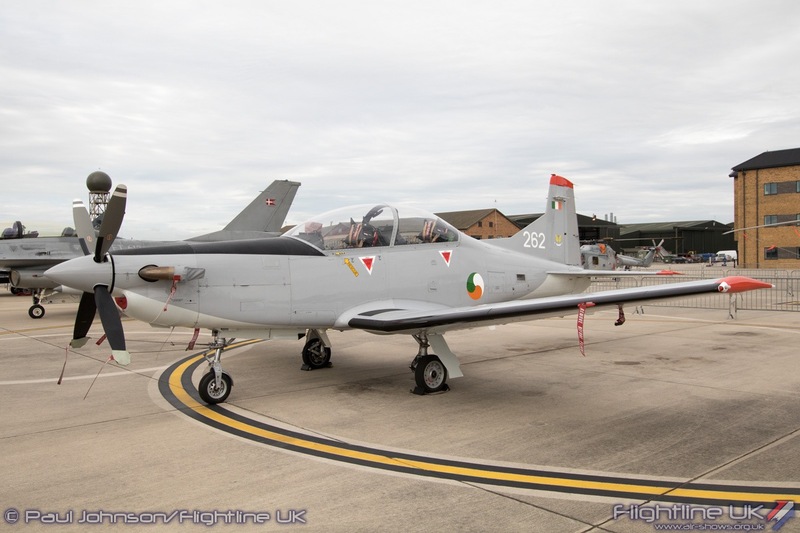 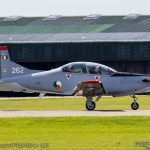 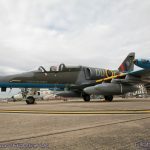 The Czech Air Force completed the fast jet line-up with a Aero Vodochody L-159A ALCA painted in the markings of the Rotal Air Force Spitfire flown by Czech pilots. 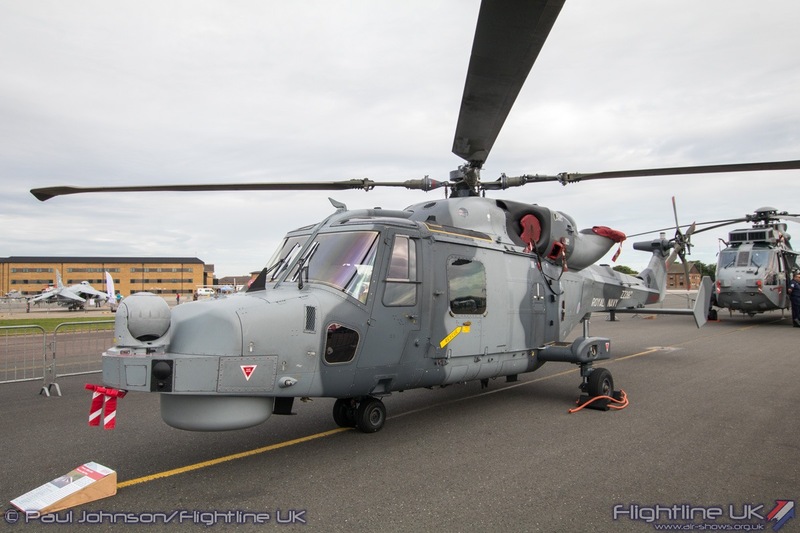 With the Lynx now out of service with the Royal Navy, it was very nice to see examples from other European operators. 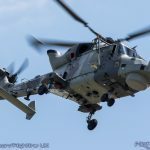 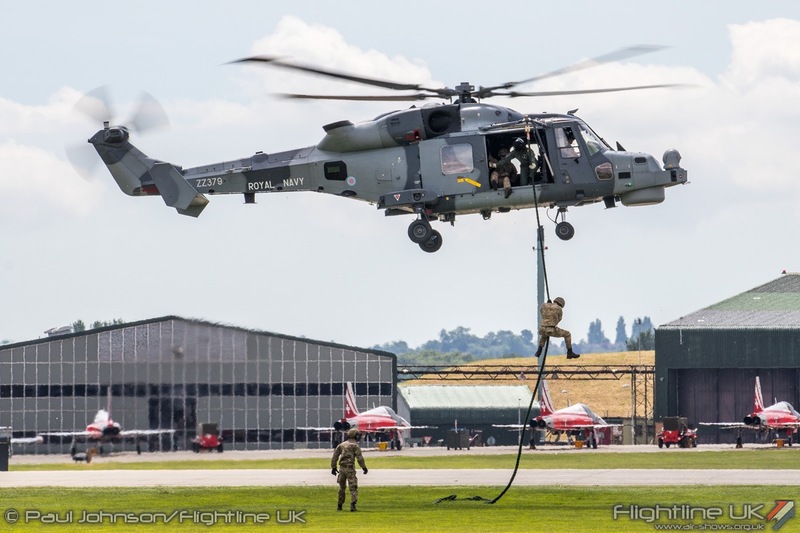 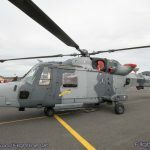 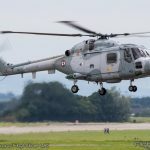 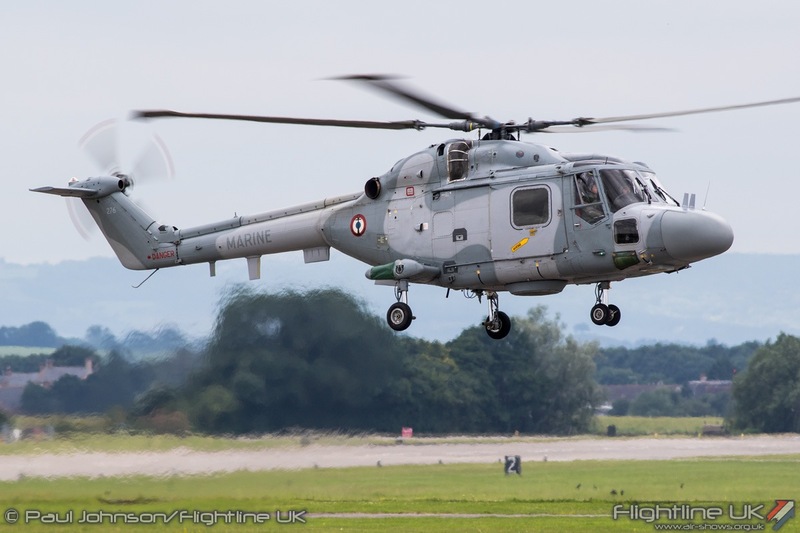 The French Navy sent one of their Westland Lynx HAS4 for a rare airshow appearance while the Royal Danish Air Force sent a pair of Lynx Mk90bs. 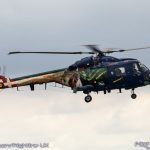 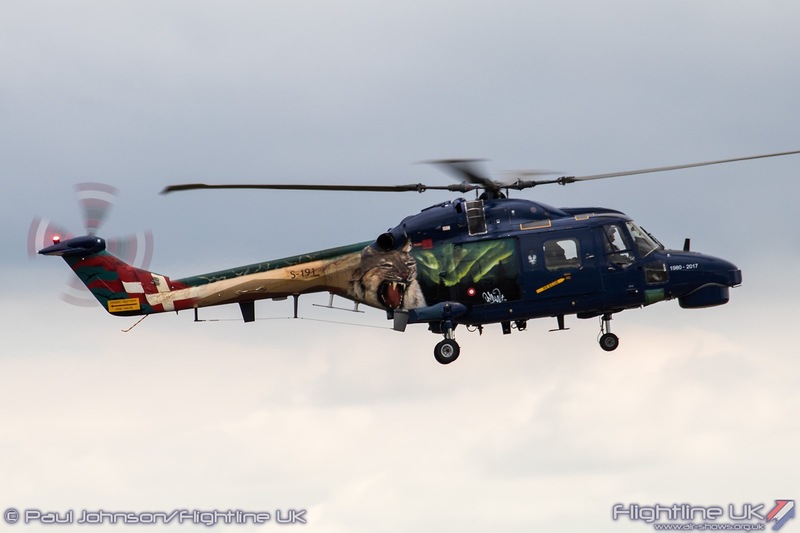 The Danes will soon retire their Lynx helicopters too and one of their aircraft wore a striking special scheme to mark the service the helicopter has provided to Denmark. 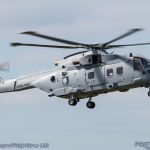 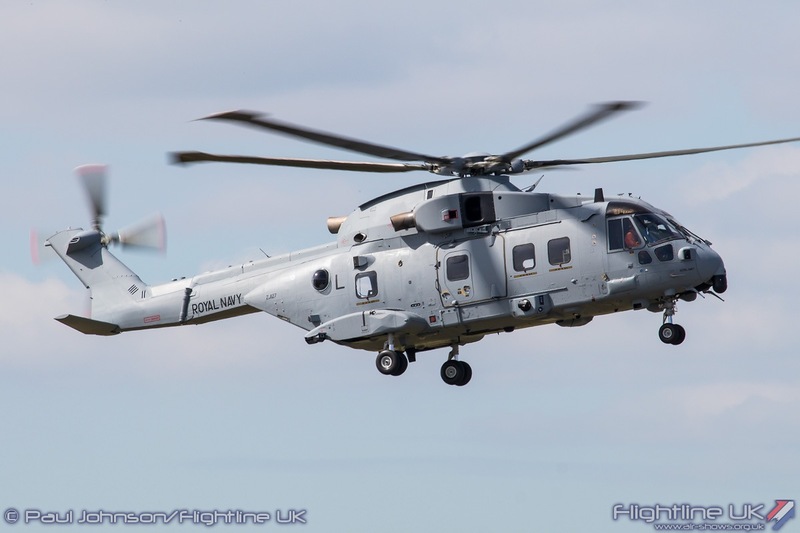 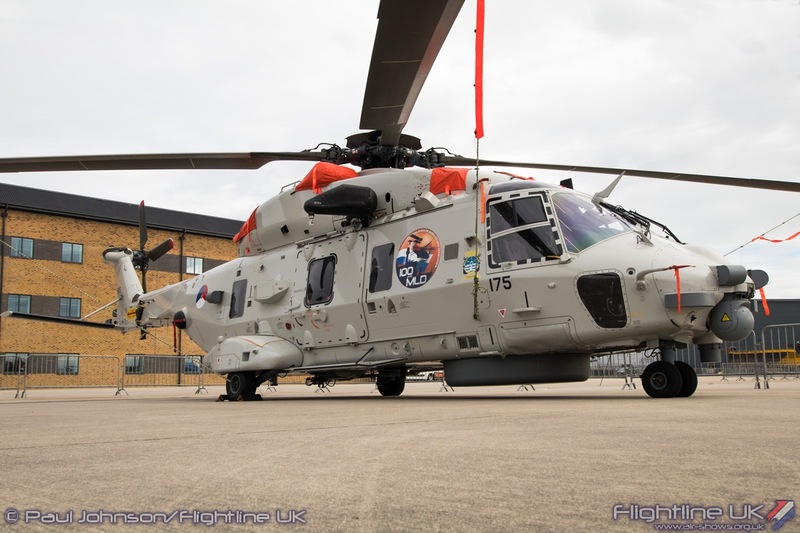 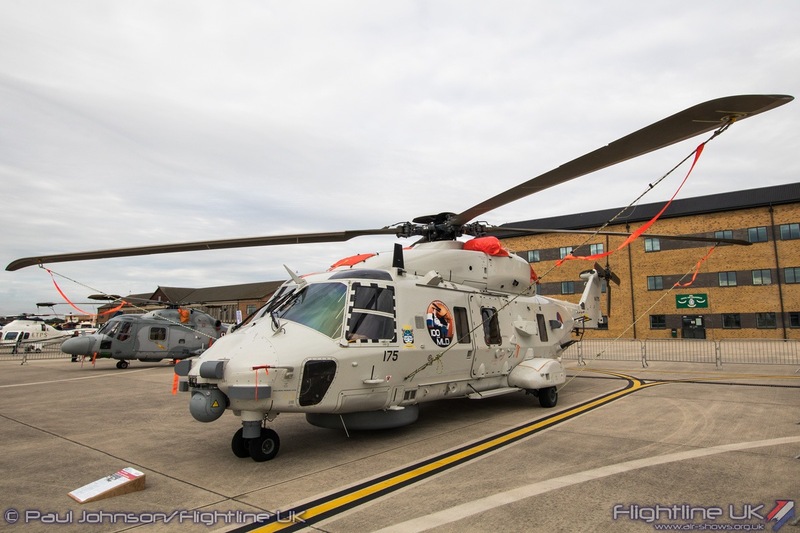 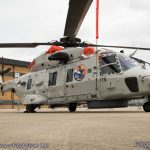 The Royal Netherlands Navy were also a Lynx operator, but have retired their aircraft in favour of the NH Industries NH90NFH Caiman which was also on show in the static display. 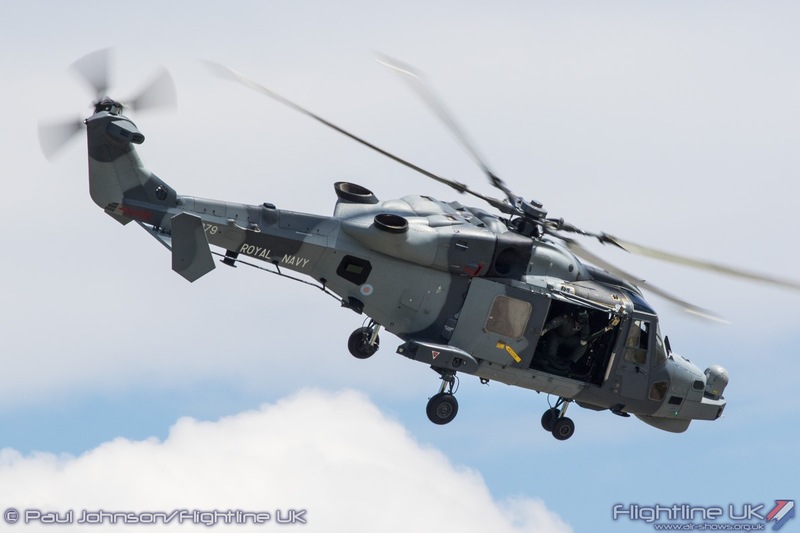 As always as Yeovilton, the flying display was eclectic mix of displays from both the civilian and military spectrum. 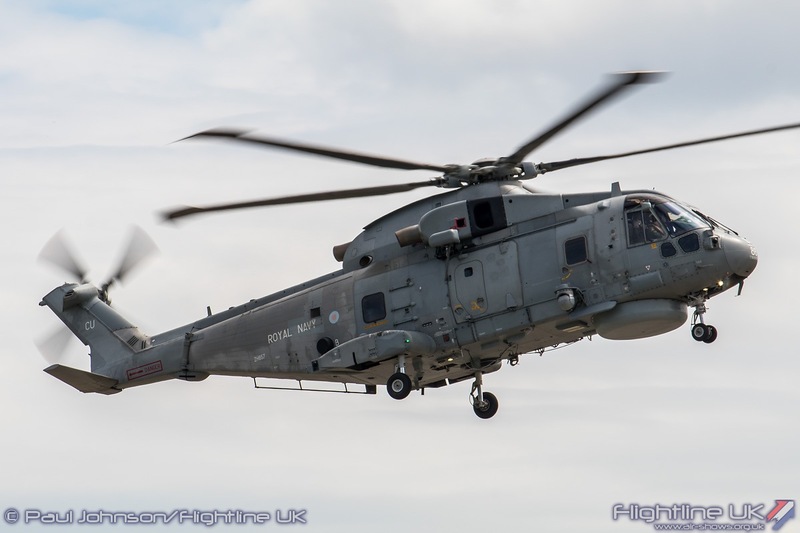 However, there was a very noticeable break from tradition as the normal Commando Assault finale was missing while the Commando Helicopter force is transitioned over to the new Merlin HC4. 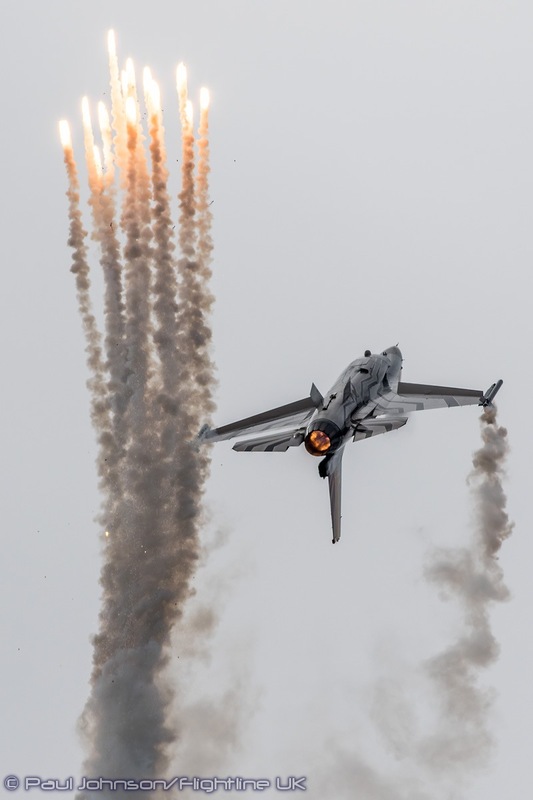 This did not mean that Air Day was devoid of explosive role demos. 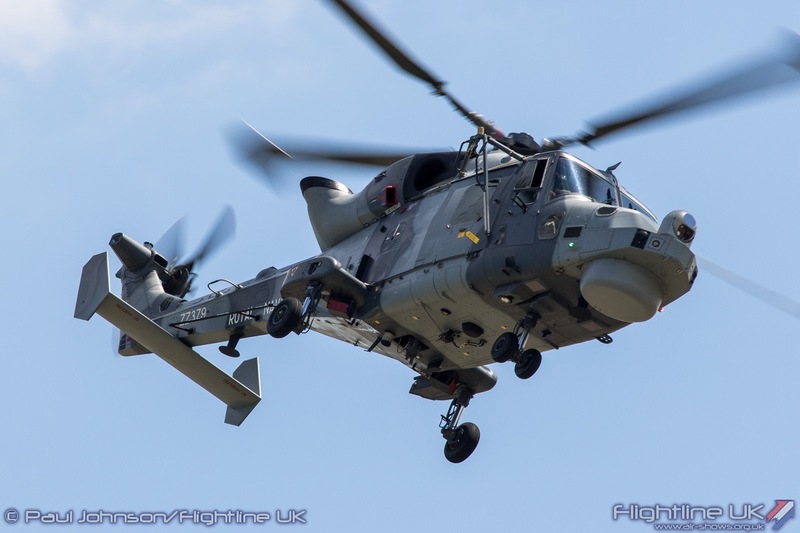 815 & 825 NAS put together a Maritime Role Demonstration to highlight the roles of the Leonardo Wildcat HMA2 when embarked on the Navy’s small ships. 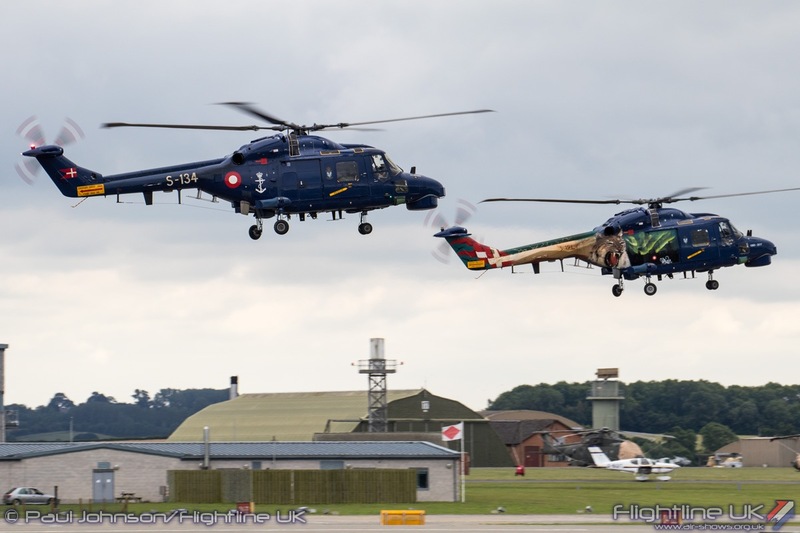 RNAS Culdrose also made a contribution to the flying display with a solo role demonstration by a Leonardo Merlin HM2. 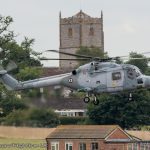 Even though it has been serving with the Navy for many years, Merlins are rare flying display participants and Air Day is about the only flying public appearance for the type this year. 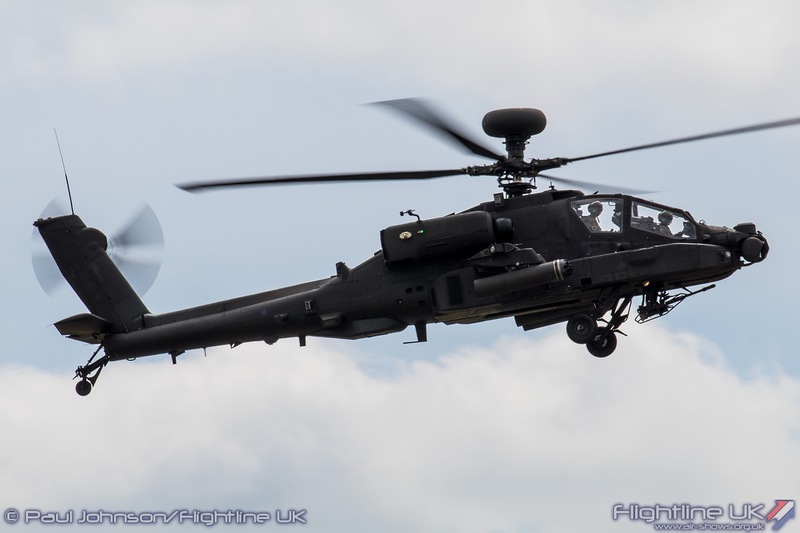 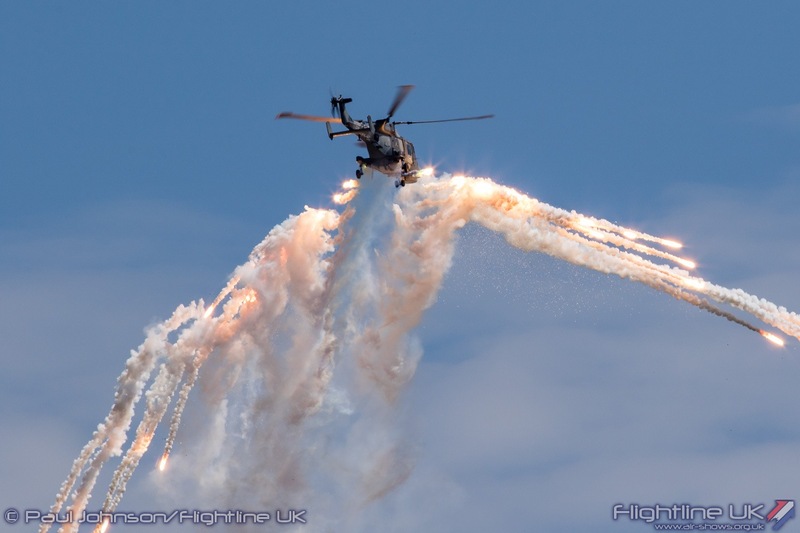 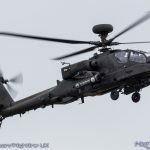 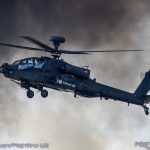 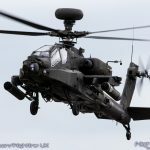 The Attack Helicopter Display Team also made extensive use of pyrotechnics as they demonstrated the tactics used by the WAH-64D Apache AH1s of the Army Air Corps. 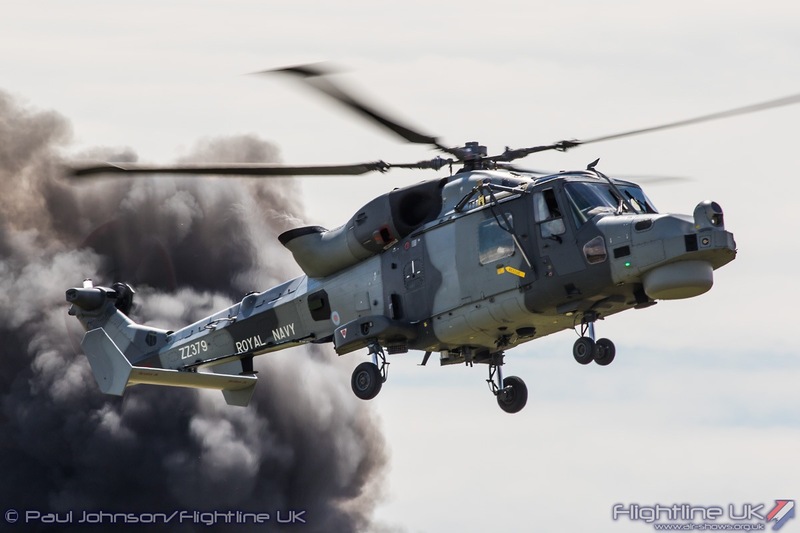 The AHDT’s displays are always amongst the most eye-catching at any event they attend and at Yeovilton they picked up the award for best rotary-winged display of the day. 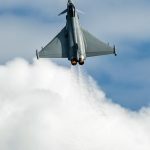 There were even international role demonstrations. 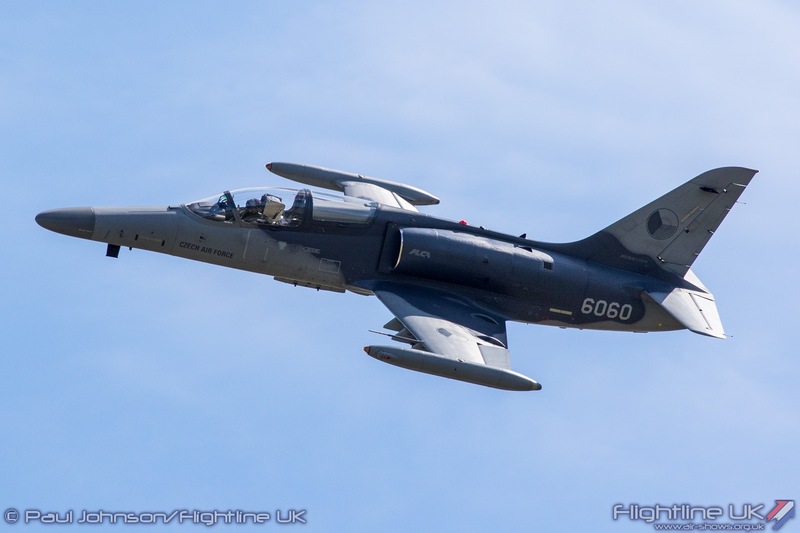 Also making use of ground based pyrotechnics were a pair of Aero Vodochody L-159A ALCAs from the Czech Air Force. 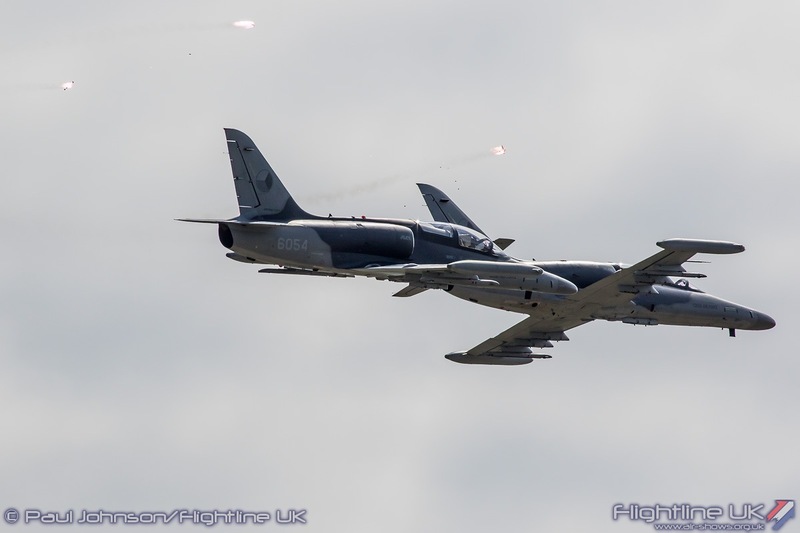 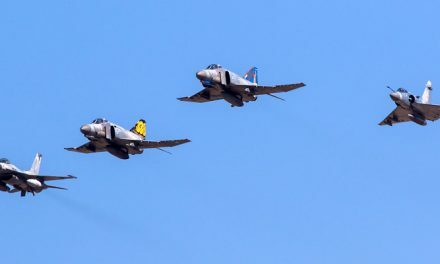 The pair highlighted the types strike and close air support mission as part of the Czech Republic’s contribution to NATO. 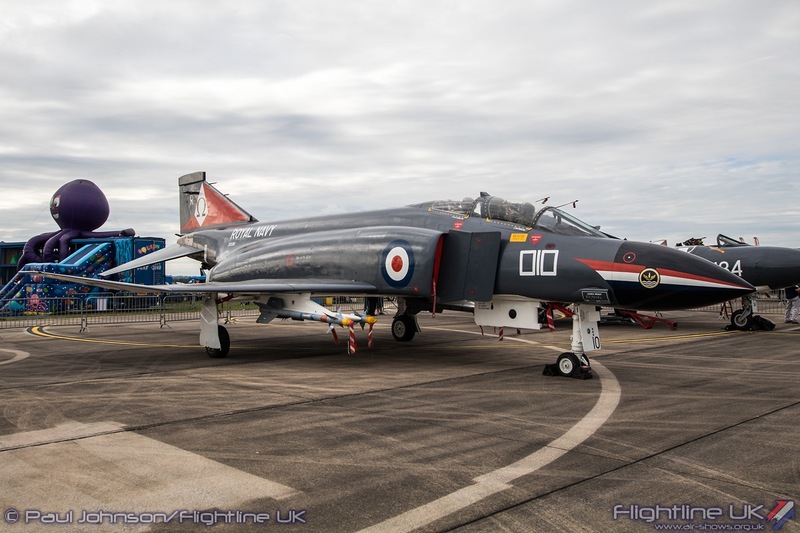 Despite the difficulties experienced by the RNHF and other operators, Yeovilton still offered up a number of historic aircraft in the display. 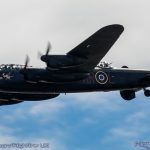 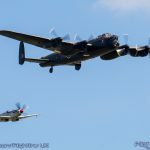 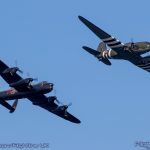 The Royal Air Force’s Battle of Britain Memorial Flight made a welcome appearance with the pair of Avro Lancaster B1 and Supermarine Spitfire PRXIX. 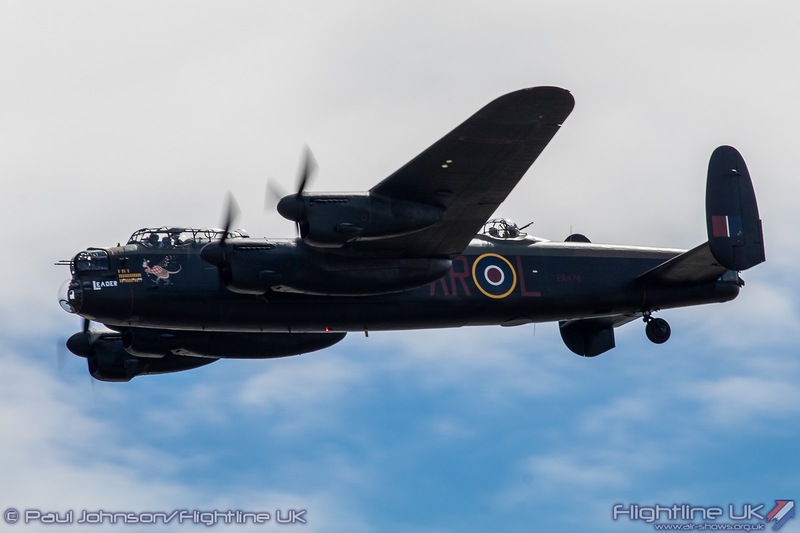 It was the Lancaster’s first public appearance of 2017 following extensive servicing by the Aircraft Restoration Company at Duxford. 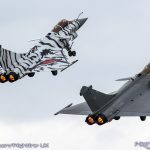 It had only returned to the skies just days before Air Day and the crew were yet to gain their full public display authority. 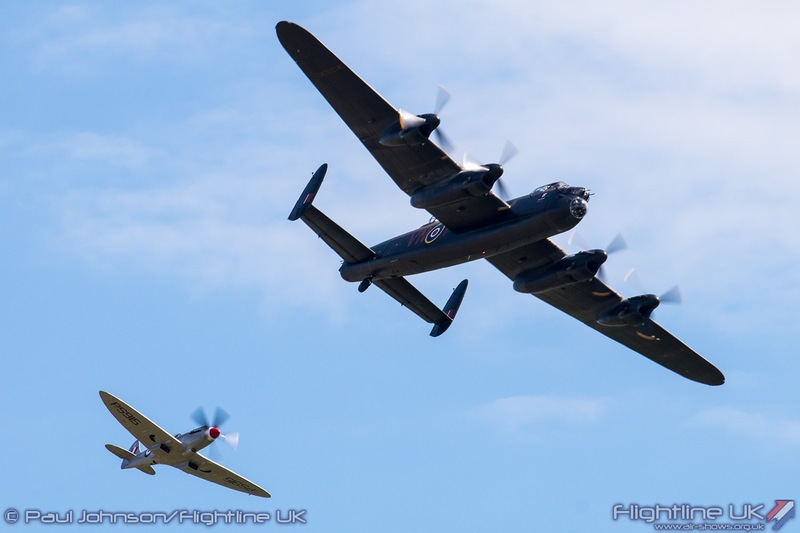 However they were alble to make three very welcome flypasts ahead of a solo display by the Spitfire. 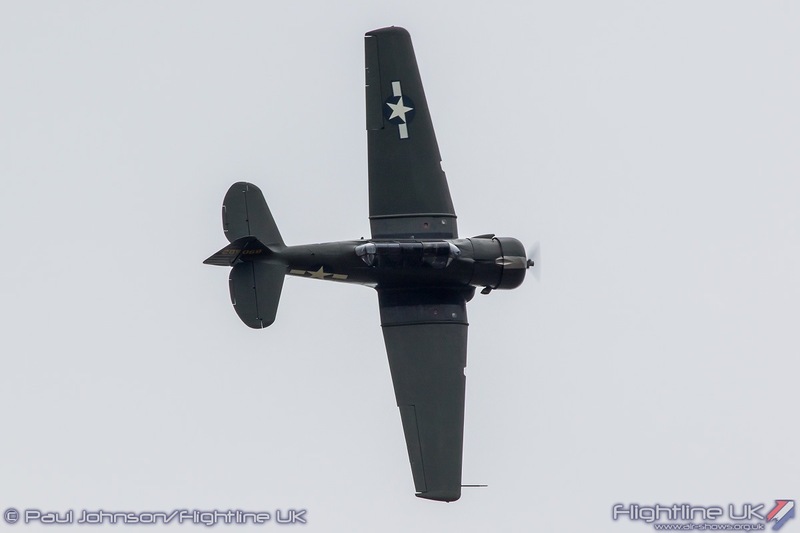 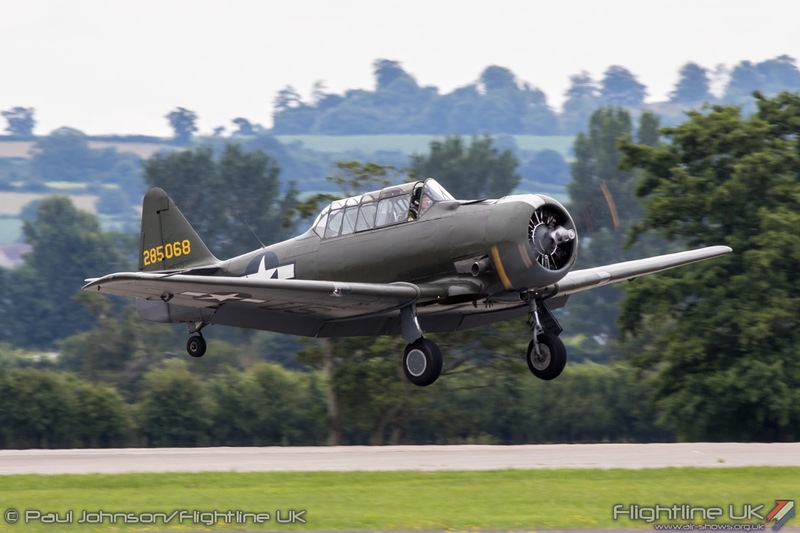 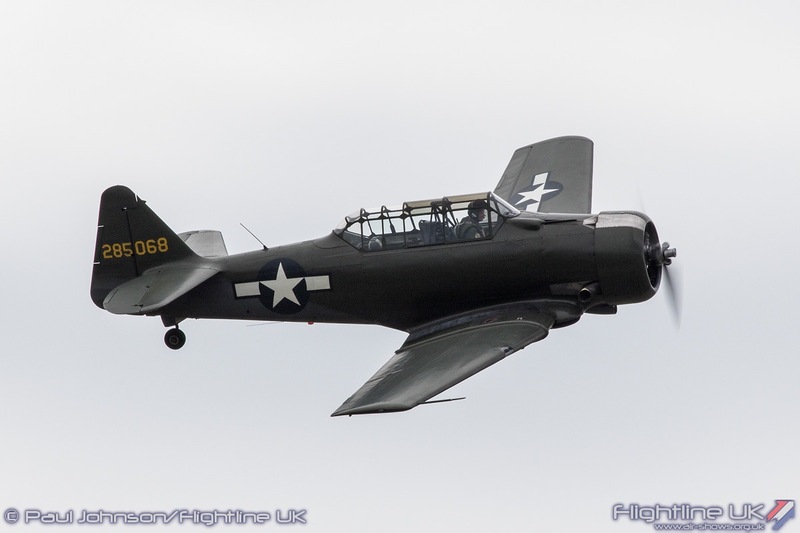 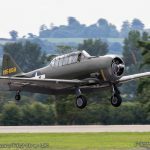 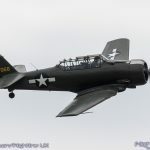 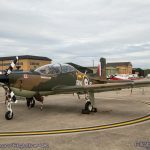 In place of the grounded Skyraider, Kennet Aviation displayed their North American AT-6D Texan. 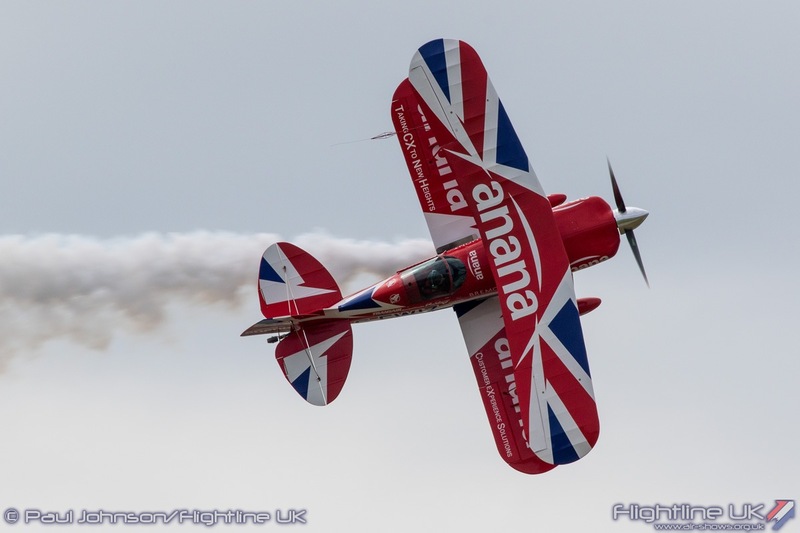 It was put through a punchy aerobatic routine by John Beattie. 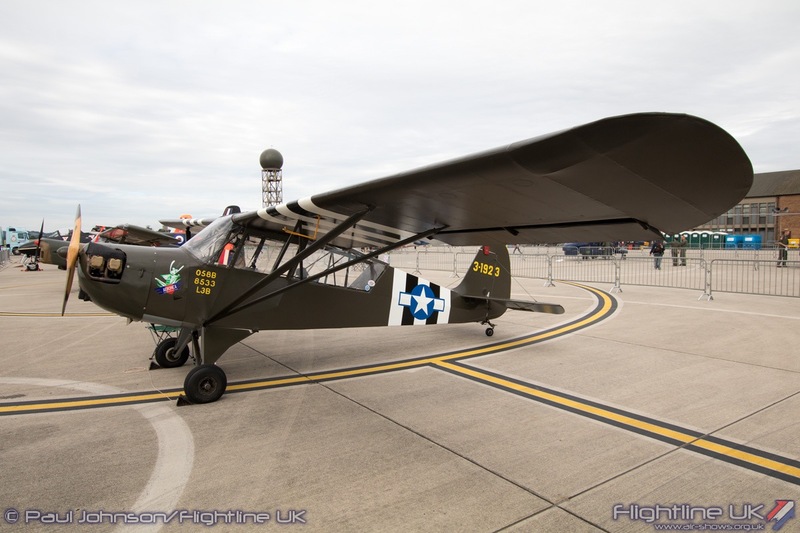 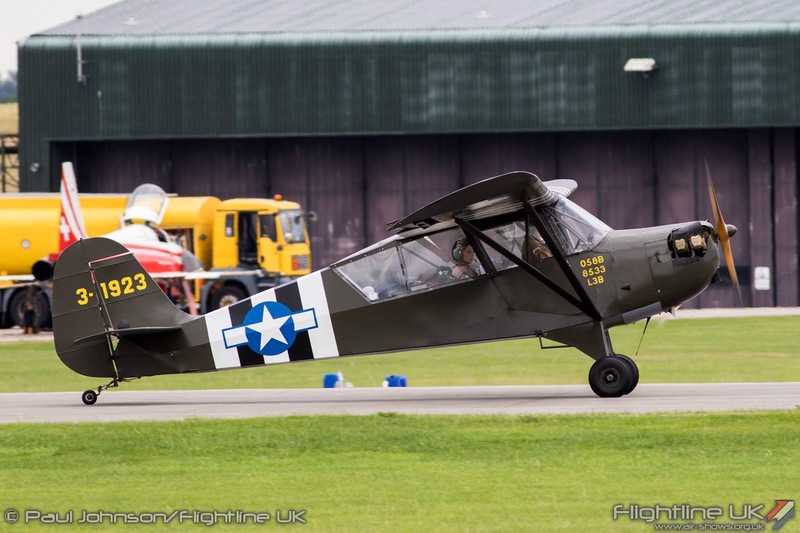 The Texan is one of the aircraft used by the RNHF to train and maintain currency on tailwheel types. 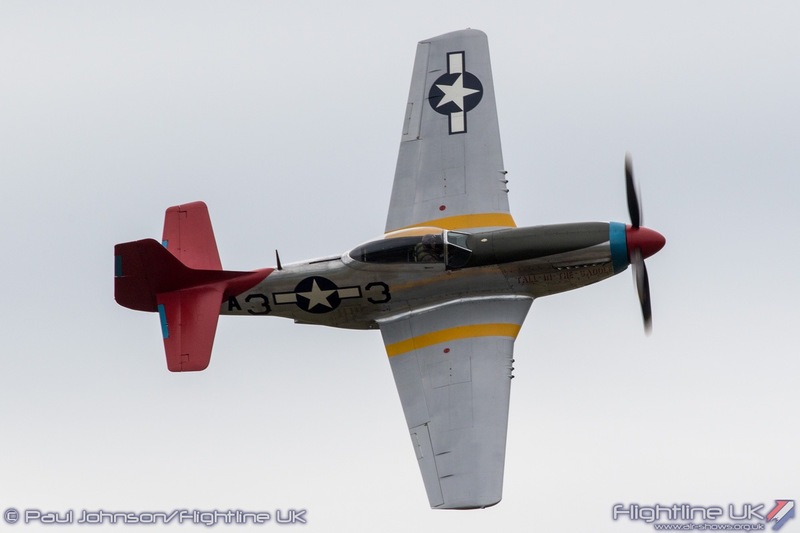 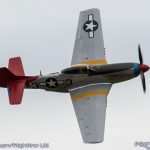 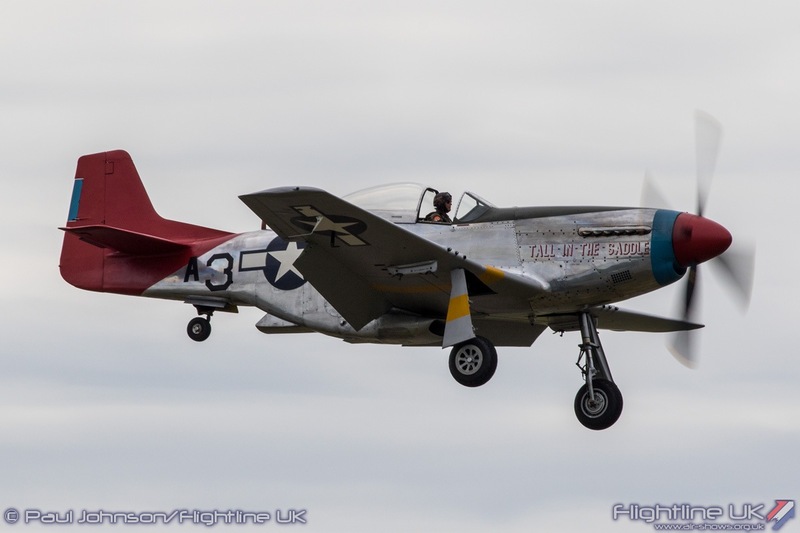 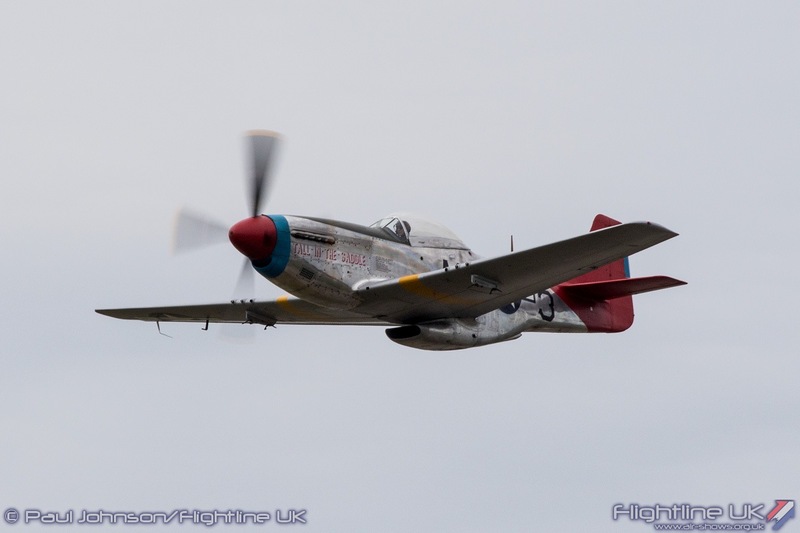 The North American theme was continued with the Hangar 11 Collection P-51D Mustang flown elegantly by Peter Teichman. 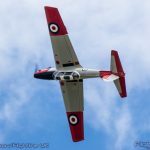 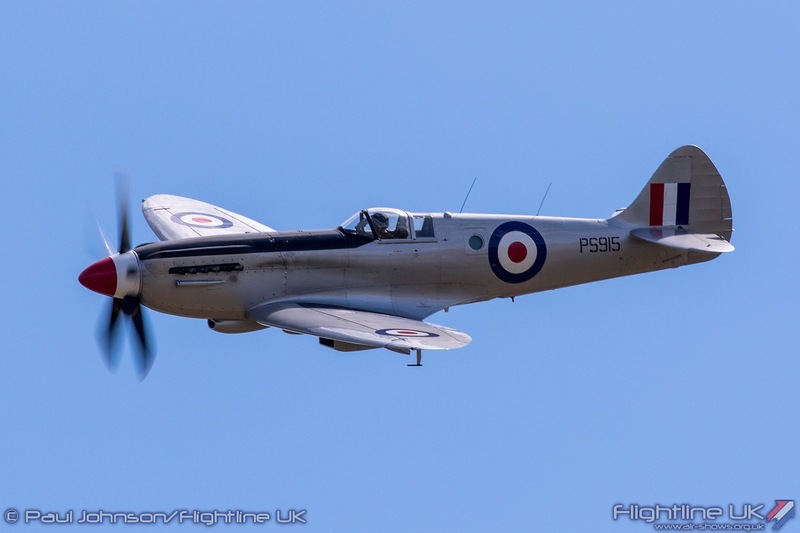 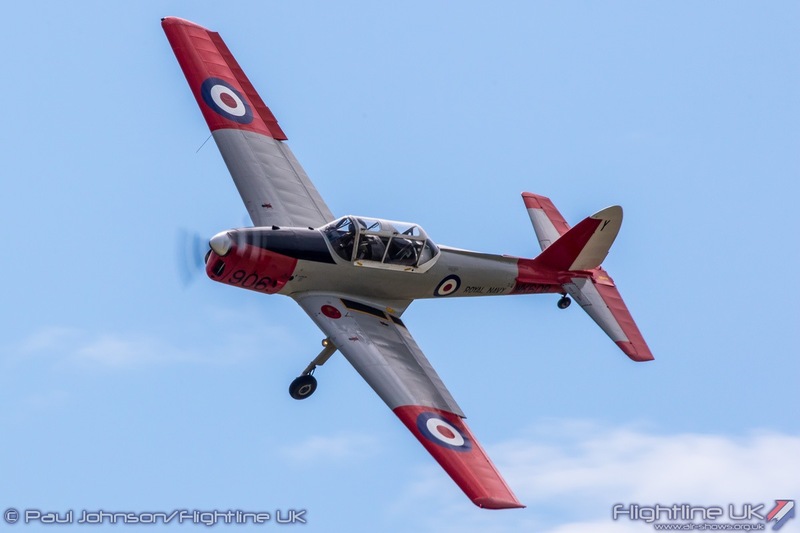 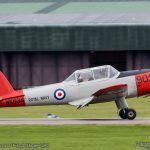 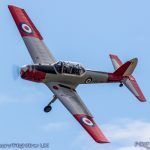 Though many of the more well-known Royal Navy Historic Flight aircraft were unable to take part, a late addition to the flying programme was their de Havilland Canada Chipmunk T10 flown by the flight Commanding Officer, Lt Cdr Chris Gotke AFC. 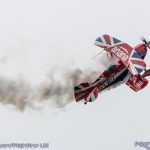 Chris put on a beautiful solo aerobatic routine in the ‘Chippie’ which deserves a much wider audience! 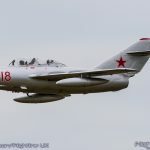 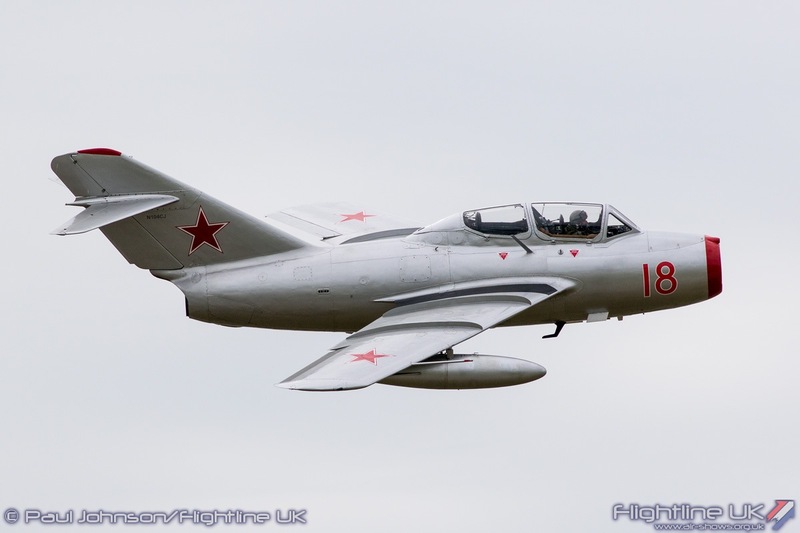 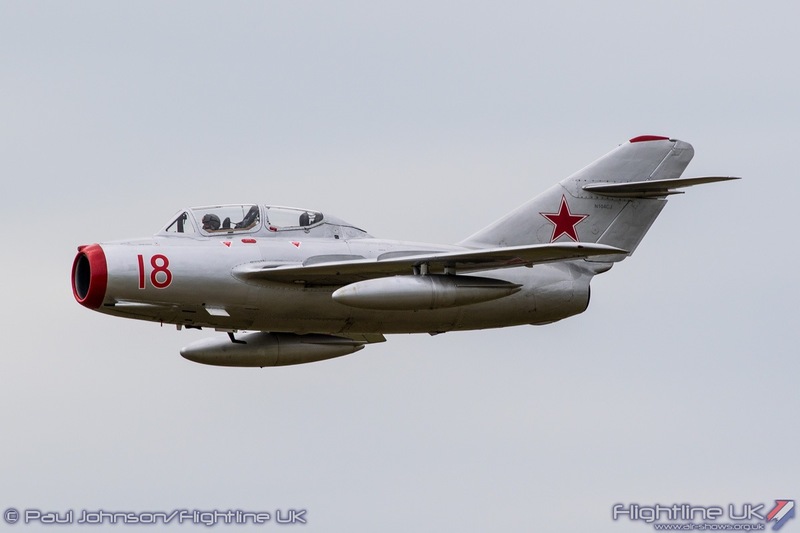 The sole civilian operated classic jet in the flying display was the Norwegian Air Force Historical Squadron’s Mikoyan-Gurevich MiG-15UTi. 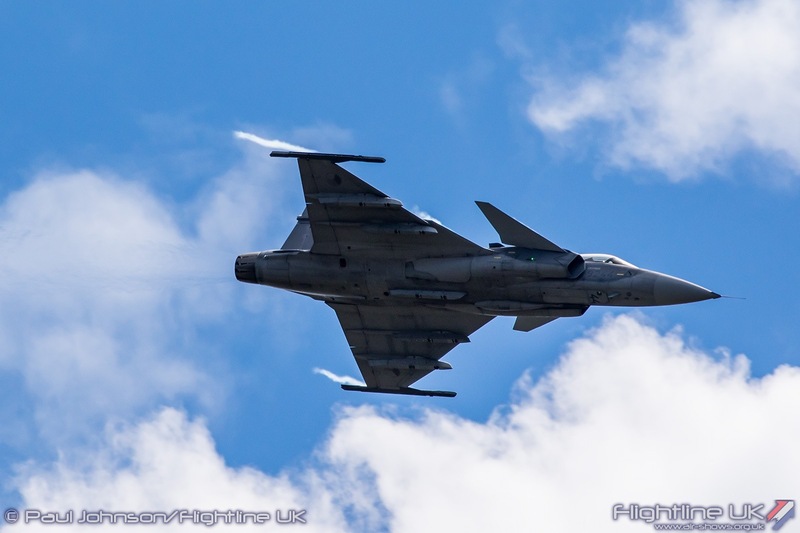 The Squadron operate the MiG to mark the many different Soviet types the Royal Norwegian Air Force often faced on intercept missions as the Soviets tested NATO air defences during the Cold War. 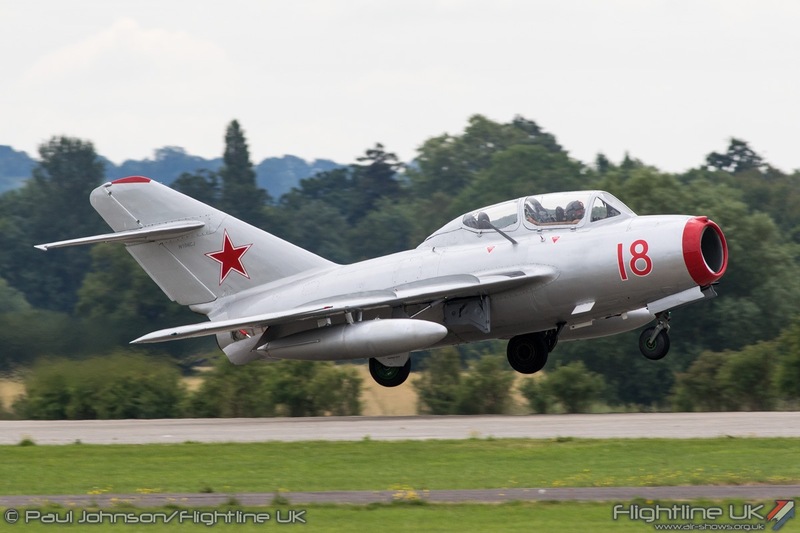 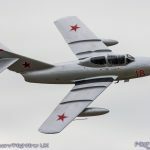 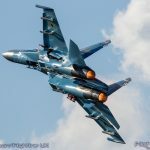 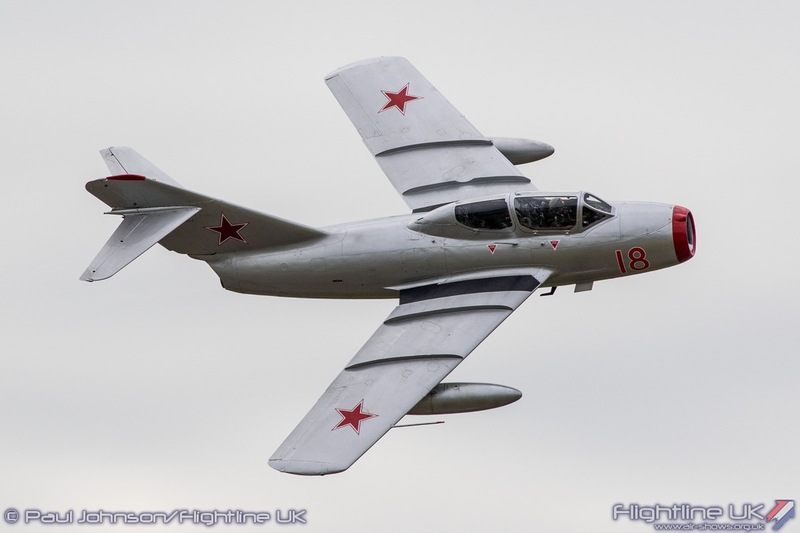 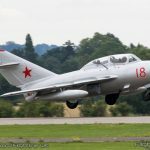 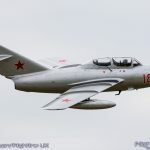 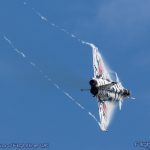 As ever, the MiG was put through a very graceful routine of sweeping passes showing off its distinctive swept wing shape so often associated with the early jets of the 1950s. 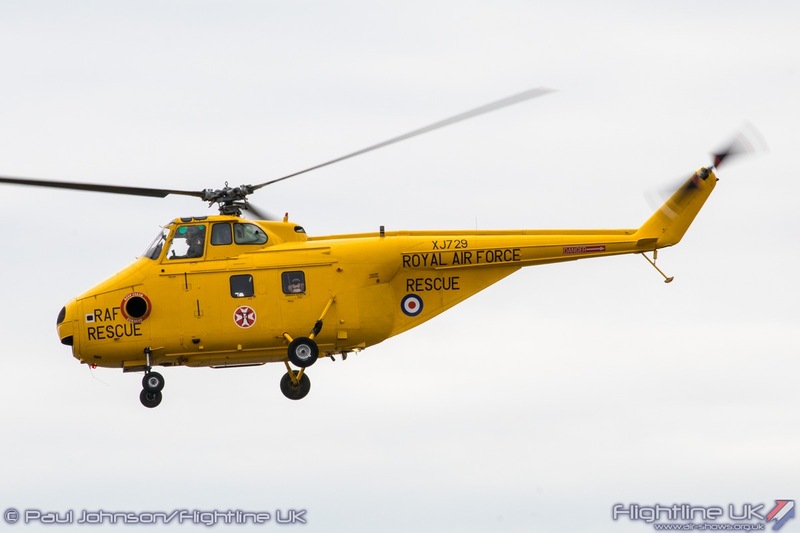 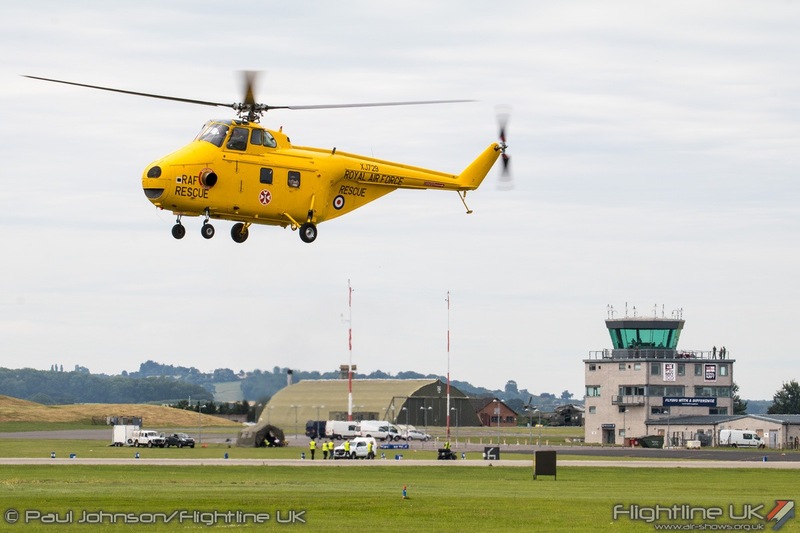 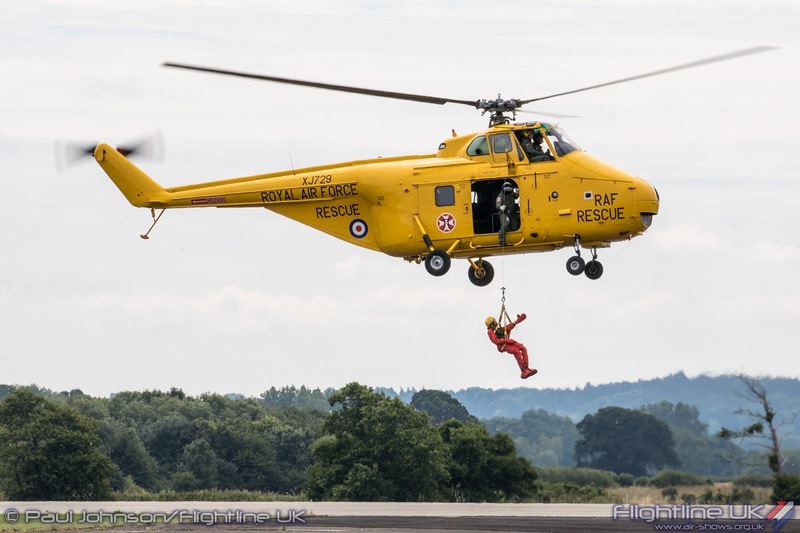 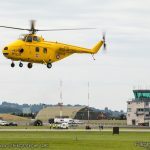 Yeovilton also saw some classic rotary action with Lift West’s Westland Whirlwind HAR10 giving a short routine of its search and rescue capabilities. 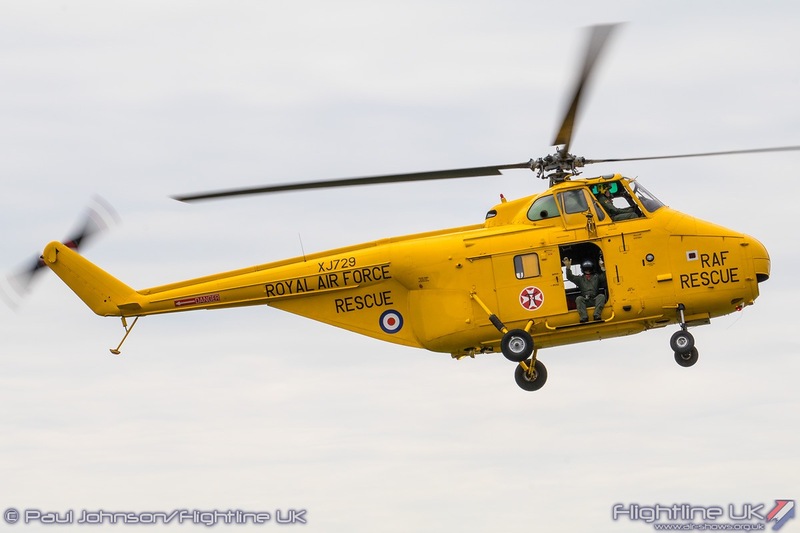 The Whirlwind did not just see service with the RAF, but was also extensively used by the Royal Navy for search and rescue plus anti-submarine duties. 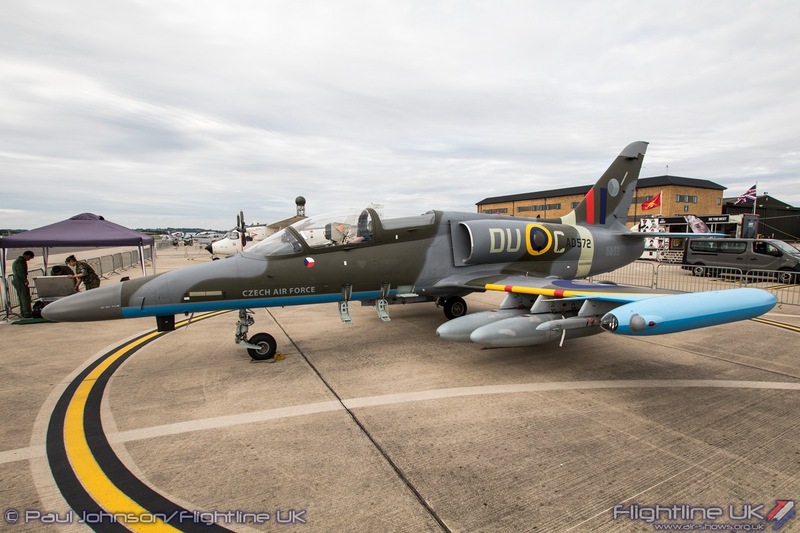 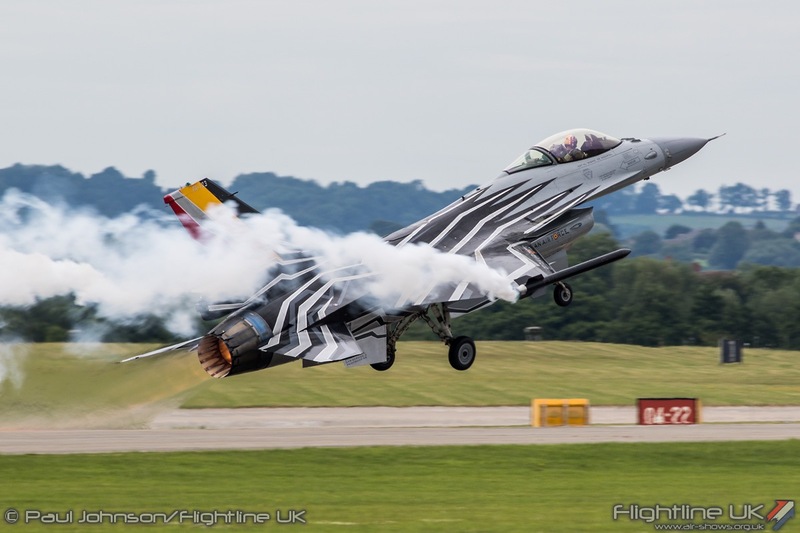 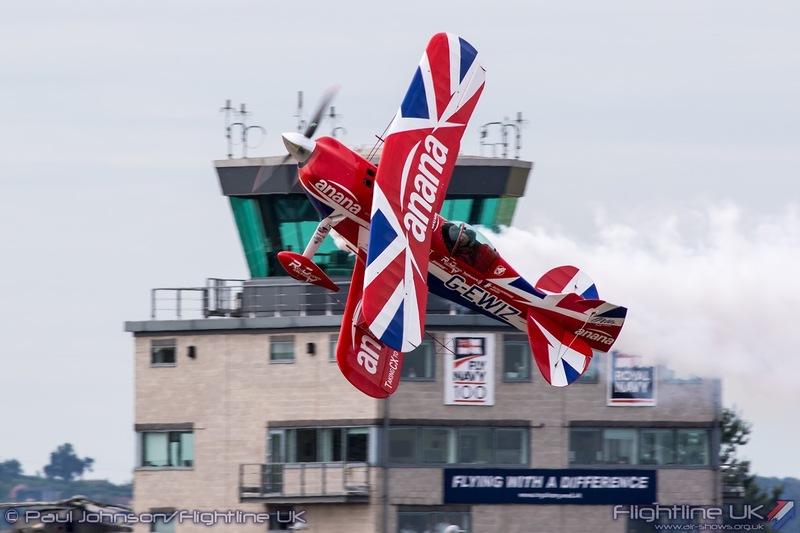 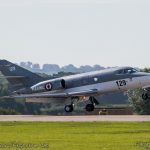 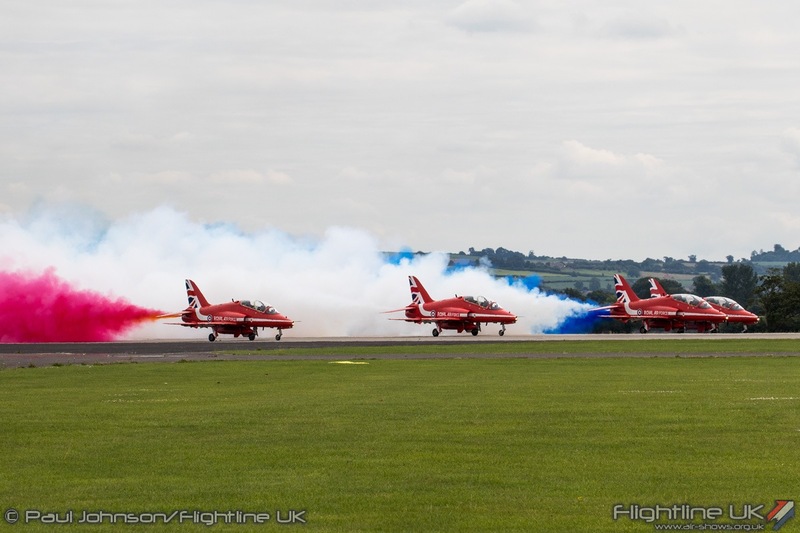 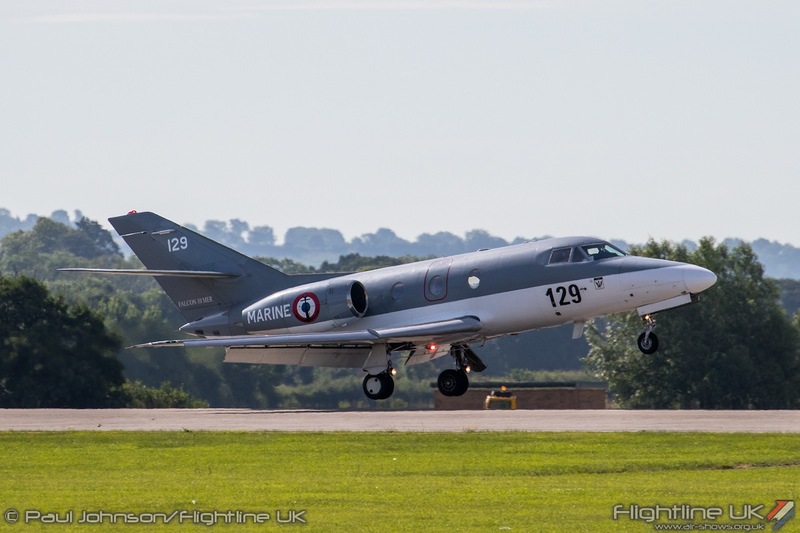 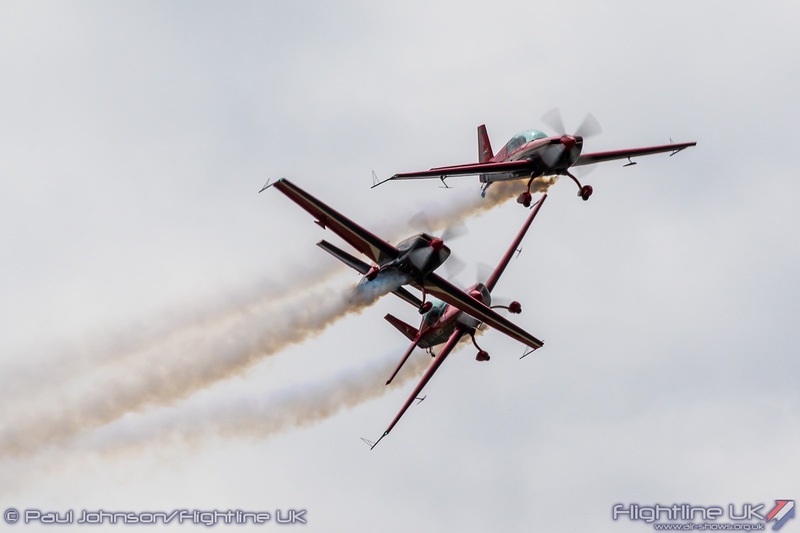 Yeovilton hosted a mini-fast jet fest this year with a number of exciting displays from across Europe. 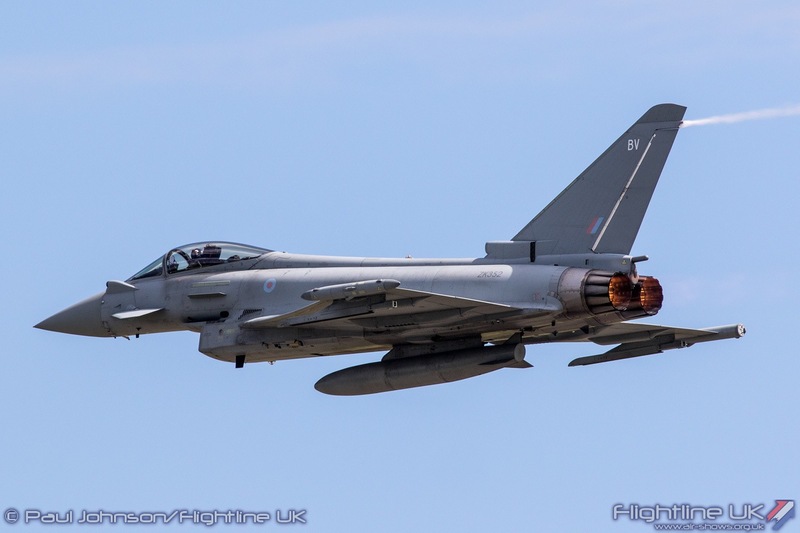 lt Lt Ryan Lawton from No 29(R) Squadron gave a thunderous account of the Eurofighter Typhoon FGR4 to represent the Royal Air Force’s current Frontline. 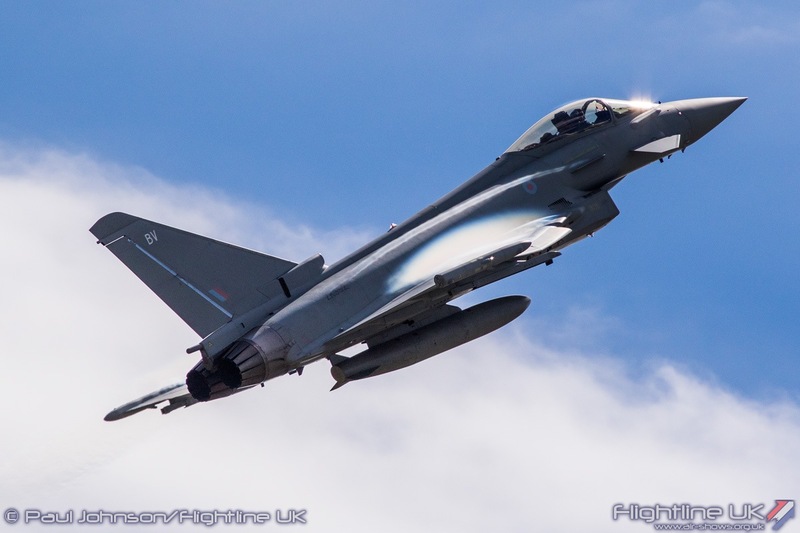 Typhoon is a very agile aircraft throughout the speed range and Ryan’s routine certainly highlights this. 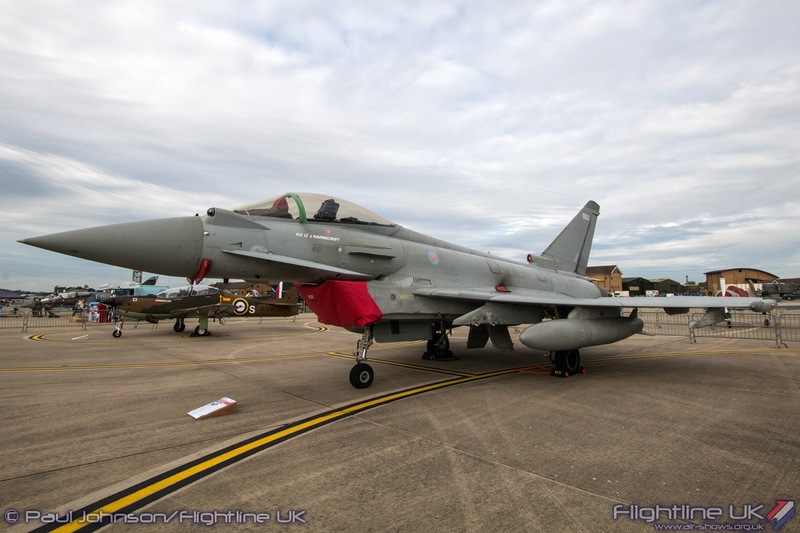 The Typhoon was joined by two of its major rivals in the display. 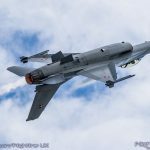 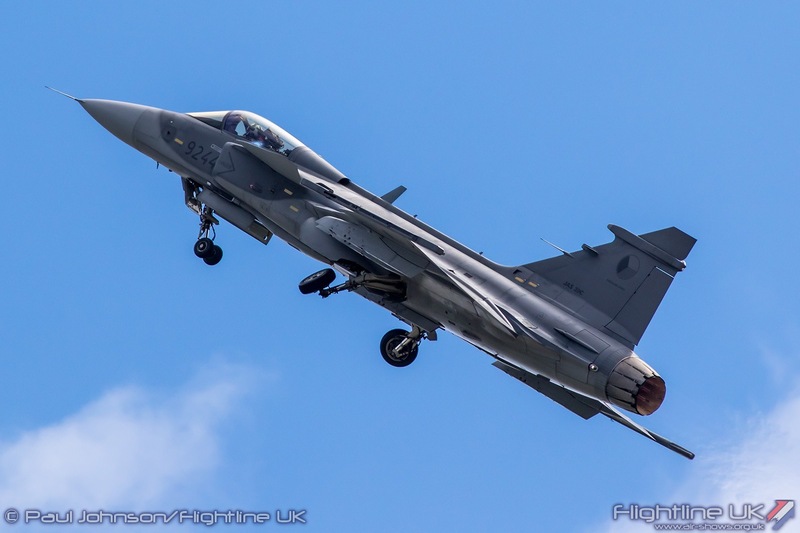 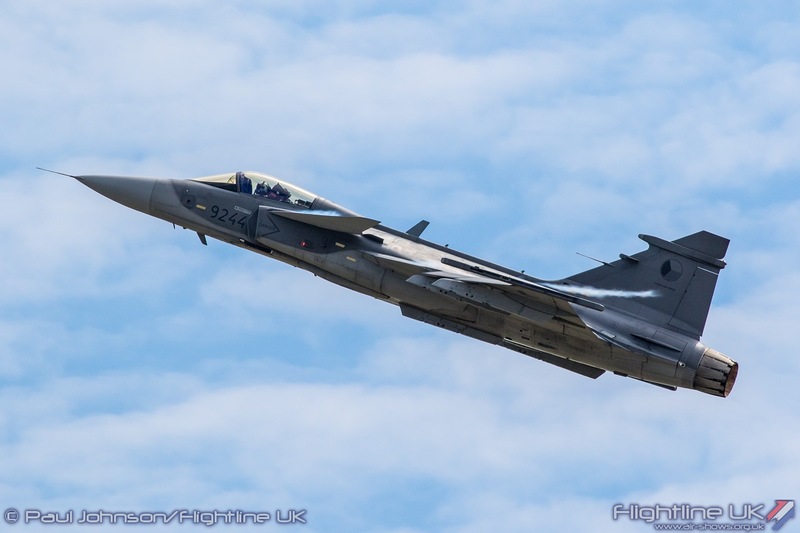 The Czech Air Force topped off the L-159 role demonstration with a solo display by the SAAB JAS-39C Gripen. 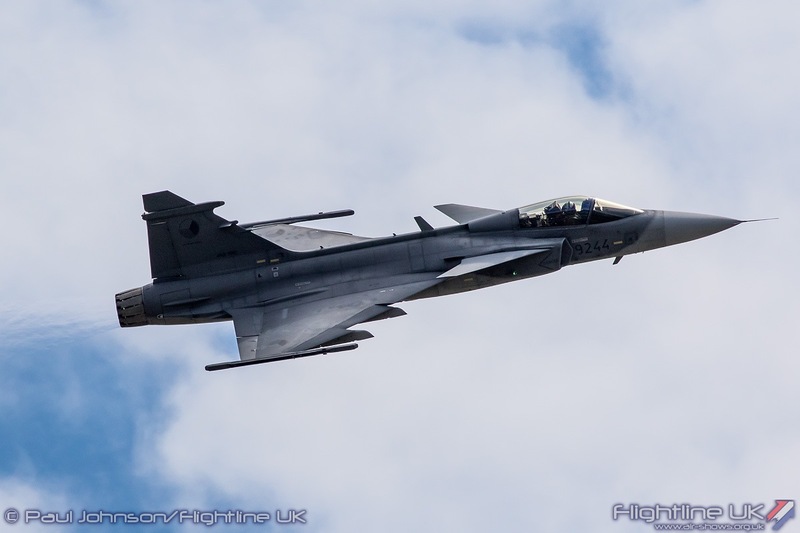 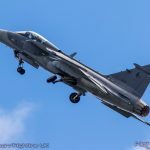 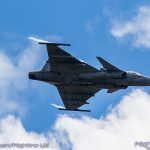 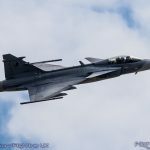 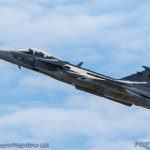 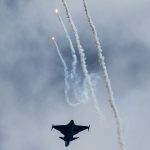 The smaller and lighter Gripen is always a punchy performer at airshows and the Czech pilot’s routine certainly ate up the sky! 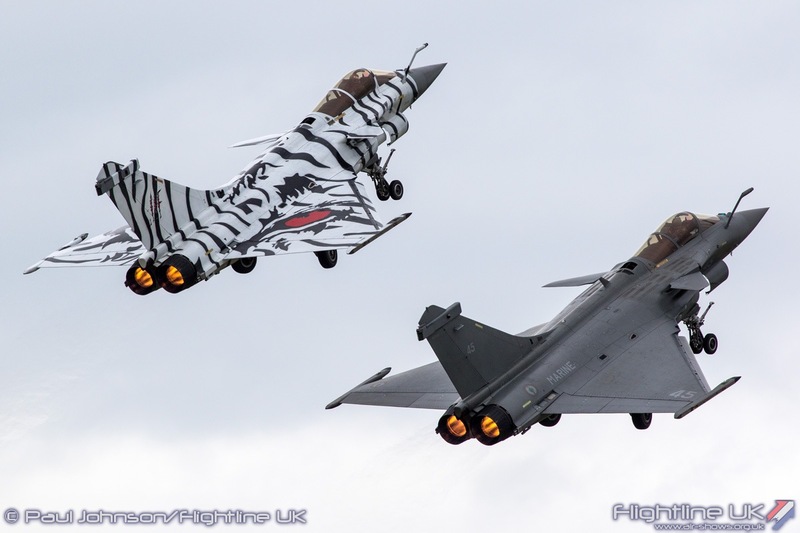 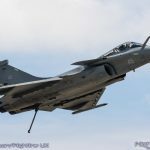 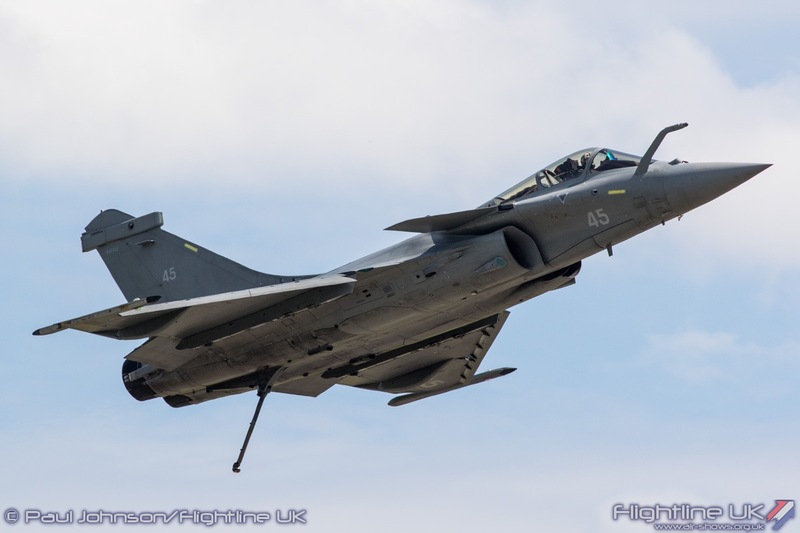 The French Navy made a very welcome return to Air Day with a pair of Dassault Rafale Ms. 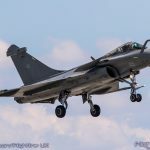 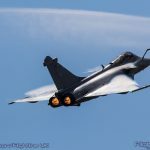 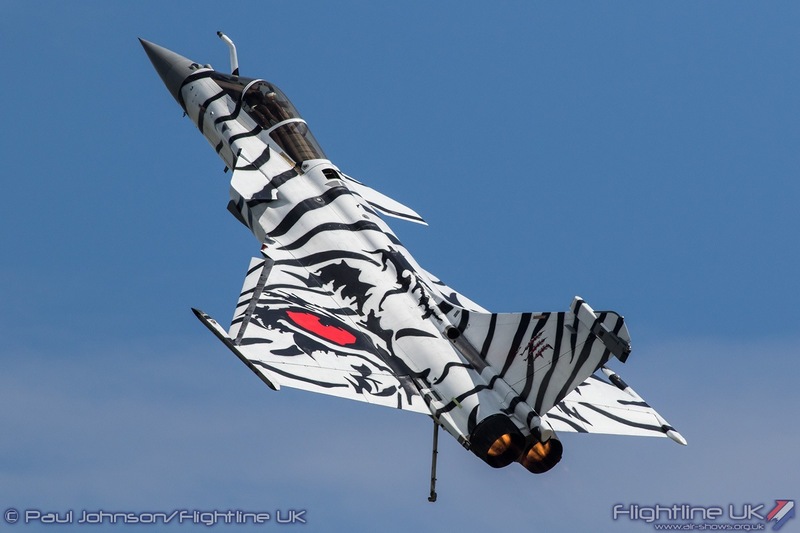 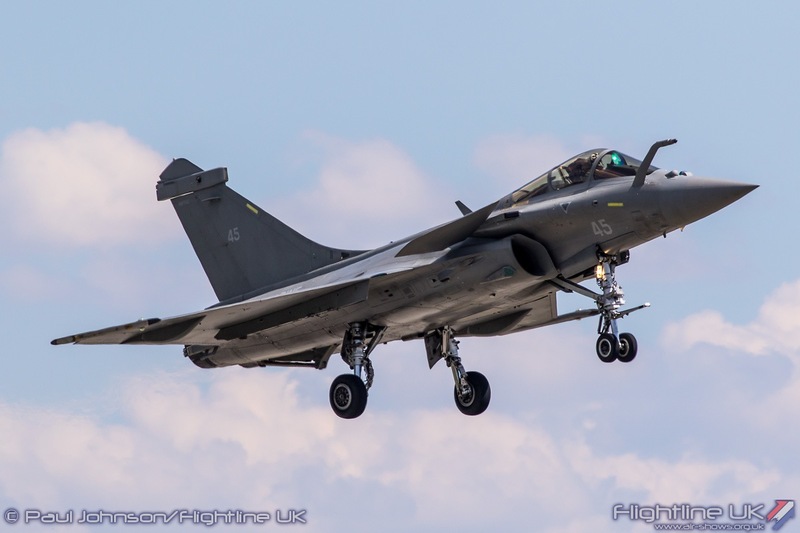 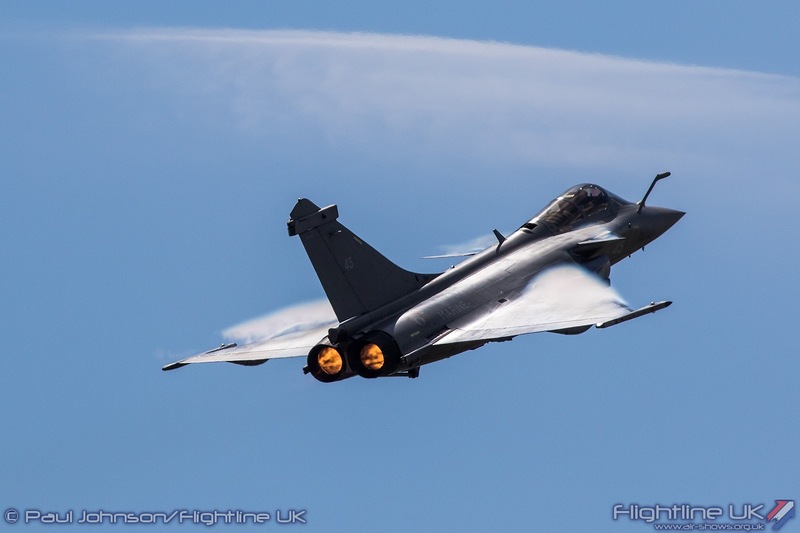 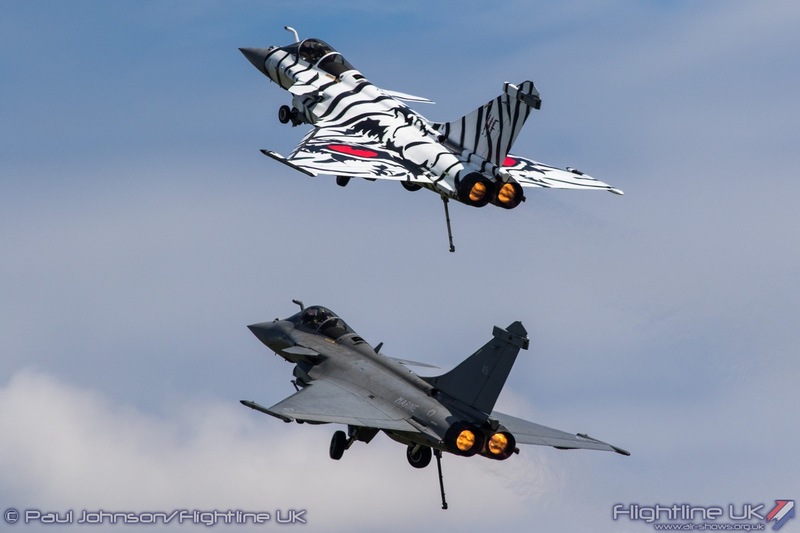 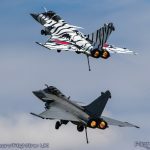 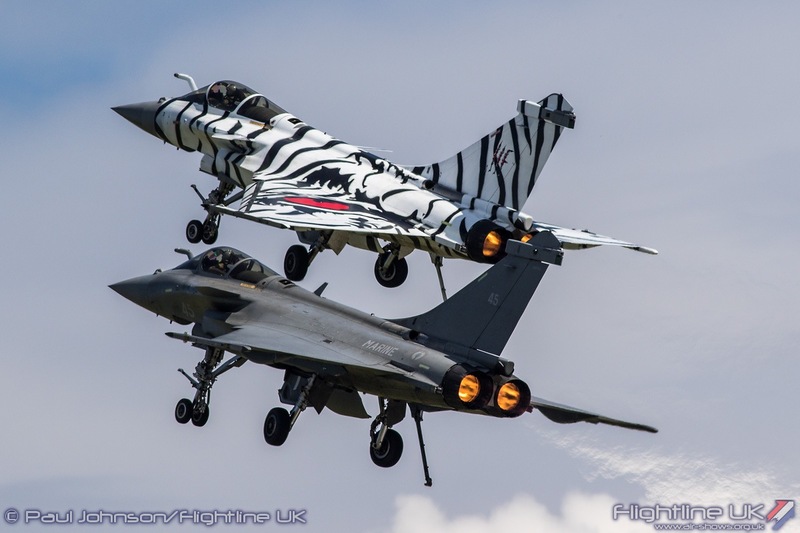 The pair’s routine is not a full aerobatic display like the other jets, but shows off the Rafale’s incredible performance with much Gallic flair with lots of noise and liberal use of reheat that enthralled the crowd. 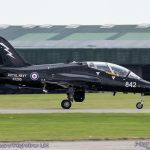 The lead jet from the pair wore some impressive ‘Tiger’ markings too adding to the spectacle. 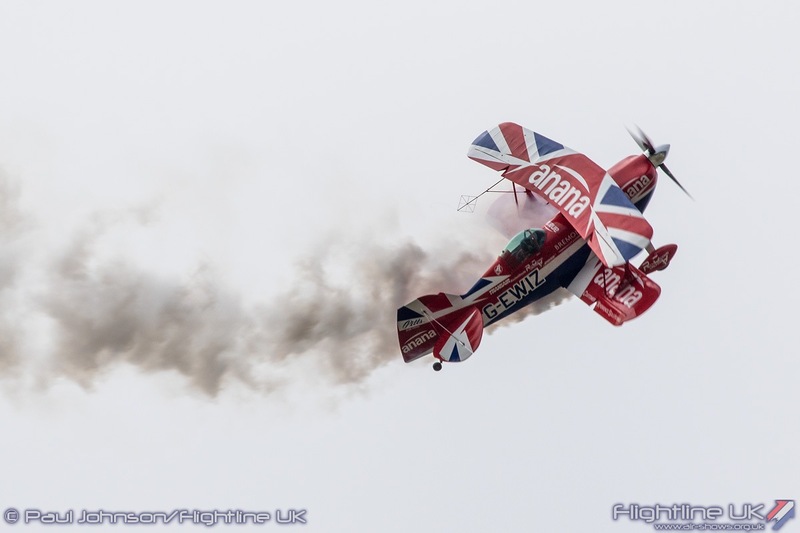 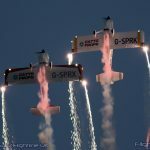 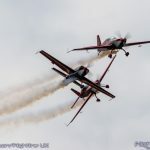 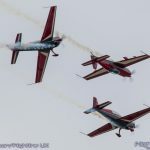 The pair deservedly won the award for best fixed wing display at Air Day and we doubt there was anyone who could possible disagree with that! 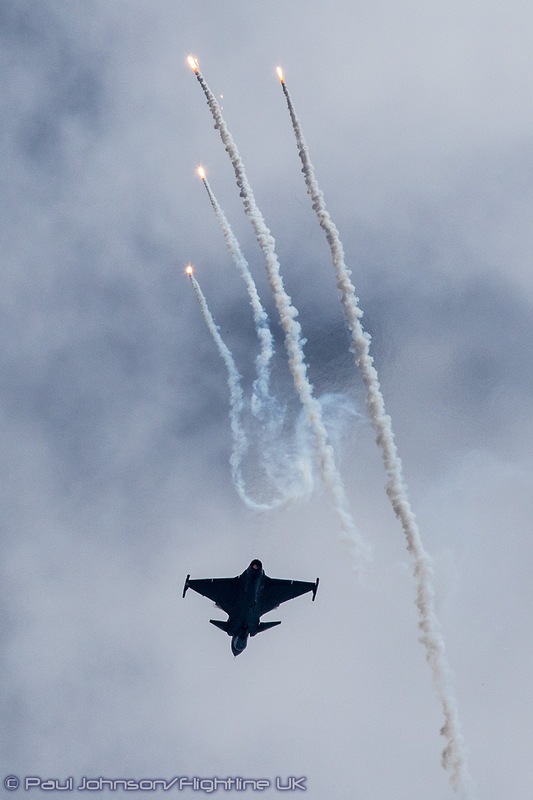 There were also two very different displays by Lockheed Martin F-16AM Fighting Falcons. 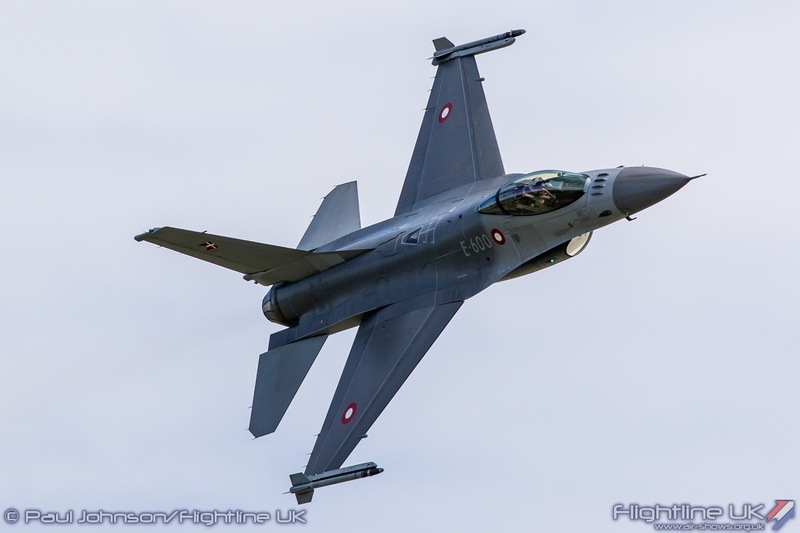 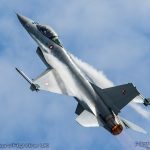 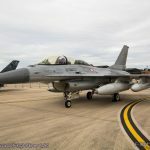 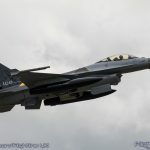 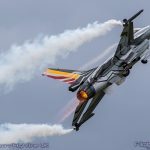 The Belgian Air Force have always been goof supported of Air Day and it was great to see them back in the flying with the solo F-16 flown by Capt Tom ‘Gizmo’ de Moortel. 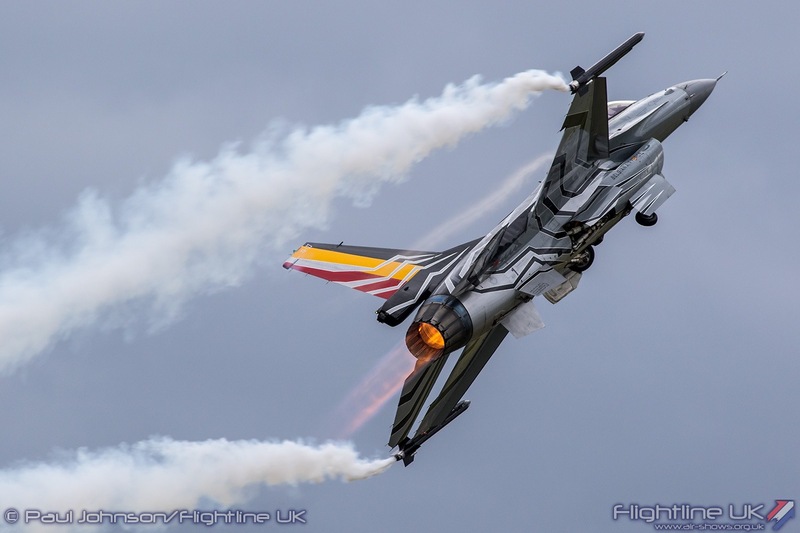 It is Gizmo’s last year as the F-16 solo display pilot and his display is one of the best on the circuit with a flowing routine of aerobatics at low and high speeds which keeps the action in front of the audience all of the time and used plenty of flares! 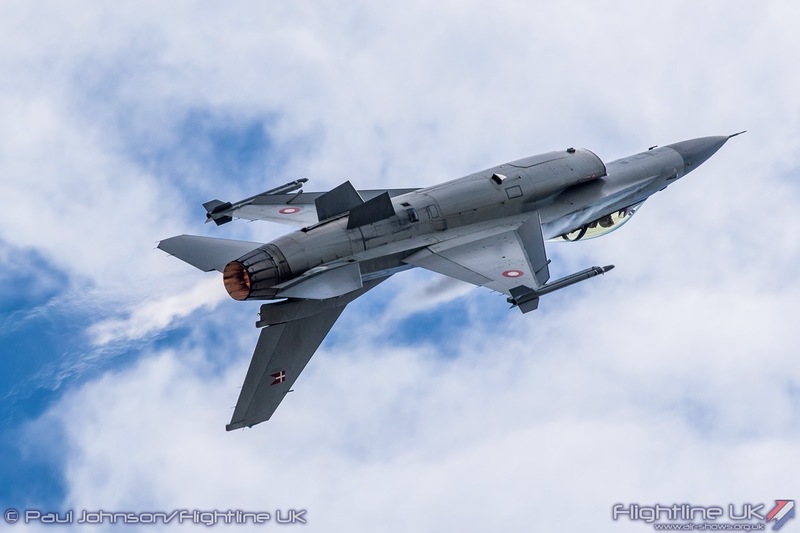 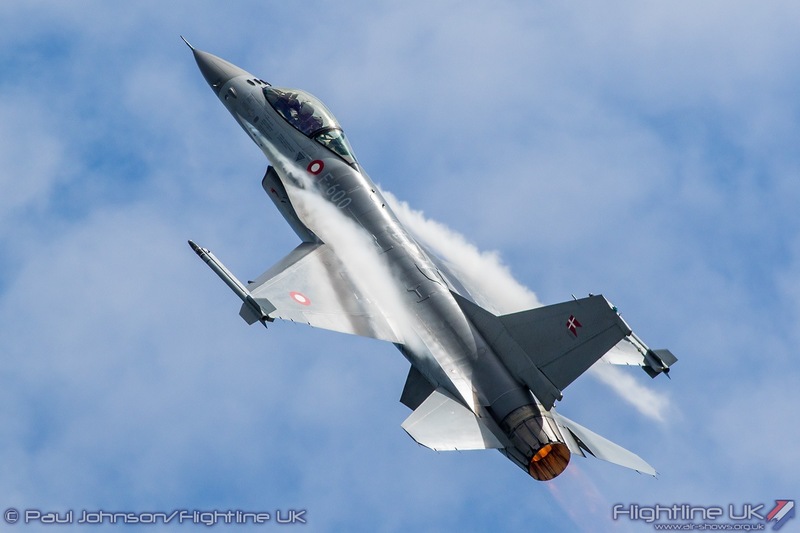 A much rarer performer at European airshows is the Royal Danish Air Force F-16AM solo. 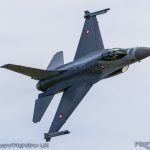 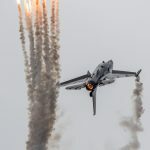 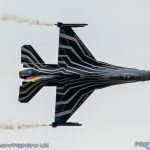 Rather than the flowing routine of the Belgian display, the Danish display shows much more the F-16s raw power with some really aggressive fast passes and tight turns which really flexed the wings of the fighter! 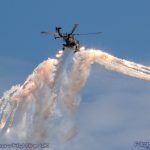 No major airshow would be complete with some serious smoke and colour. 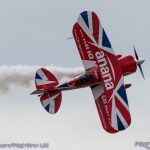 Rich Goodwin has become a regular at Yeovilton with his incredible Pitts S-2S Special aka “The Muscle Biplane.” Despite its small size, the Pitts has a presence even at a big military airshow like Yeovilton with all the noise, smoke and the amazing gyroscopic aerobatics Rich performed. 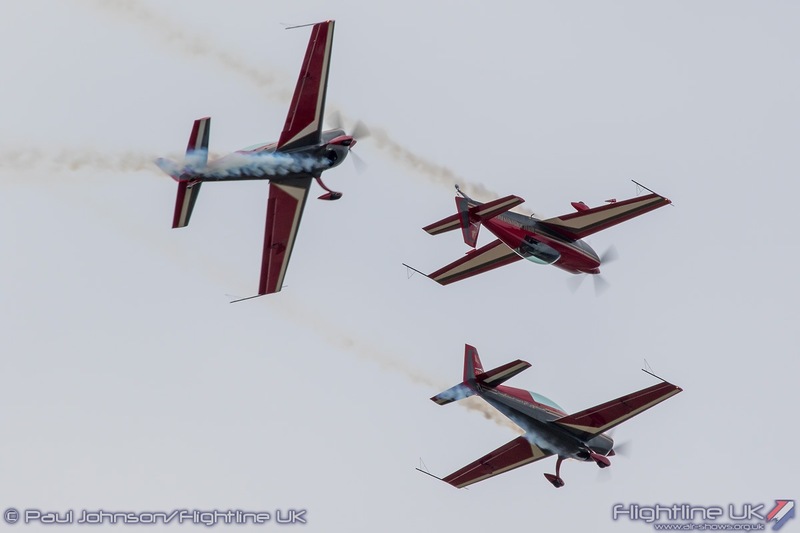 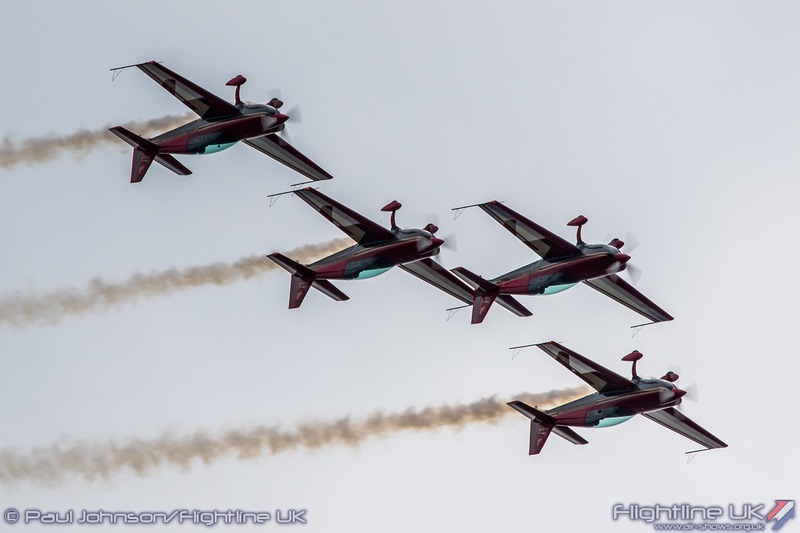 More aerobatic machinery came from the Royal Jordanian Falcons with their four Extra 300Ls. 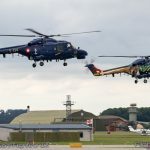 Yeovilton was their first UK stop of their 2017 European tour which takes in stops in France, Belgium, Denmark, Germany, Ireland and Switzerland as well as the UK. 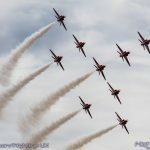 Yeovilton also welcome two big jet teams for the 2017 edition. 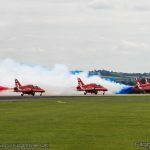 The Red Arrows based themselves at Yeovilton for the first time in many years allowing the Yeovilton crowds a good view of the pre and post flight check sequences performed by the “Blues” which are so vital to the safe running of the team. 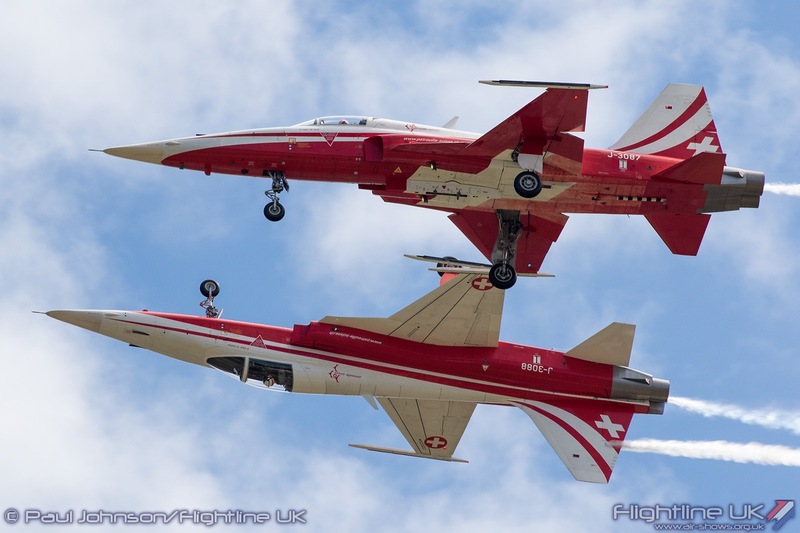 With no Commando Assault, the honour of closing Air Day went to the Swiss Air Force’s Patrouille Suisse flying six Northrop F-5E Tiger IIs. 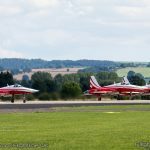 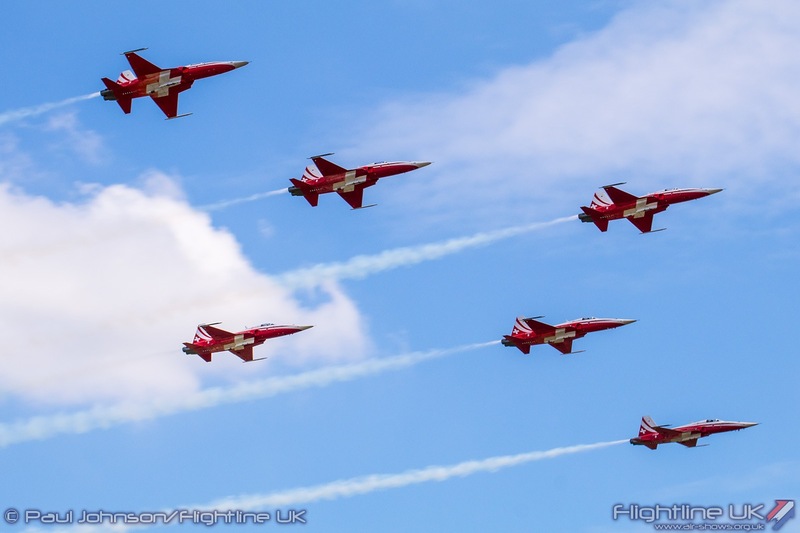 It was the Swiss team’s first visit to Air Day in 10 years having last appeared at the Somerset base in 2007. 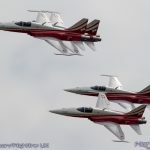 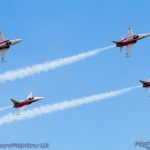 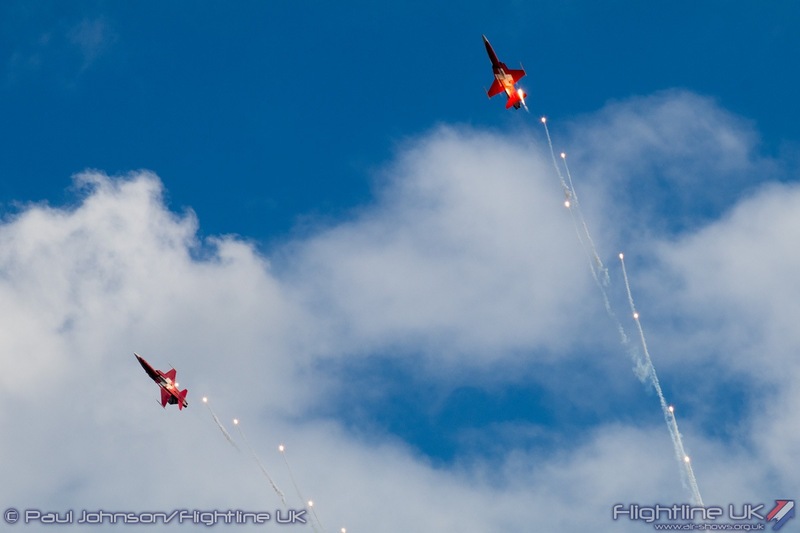 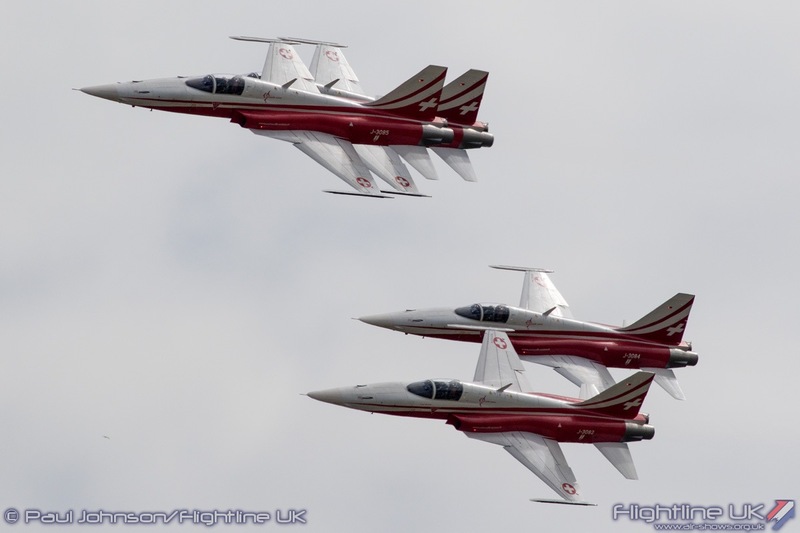 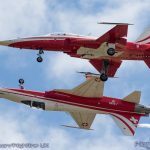 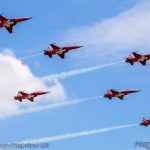 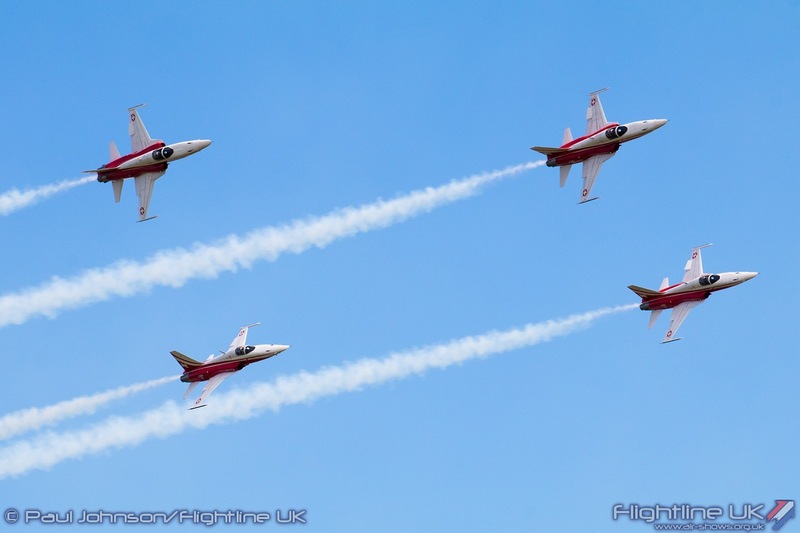 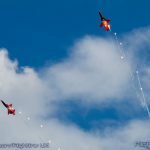 Like other Swiss Air Force displays, the Patrouille Suisse highlight the precision and teamwork of the Swiss Air Force. 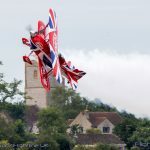 They are all volunteers drawn from the Air Force’s full time pilots and perform their display duties in their spare time. 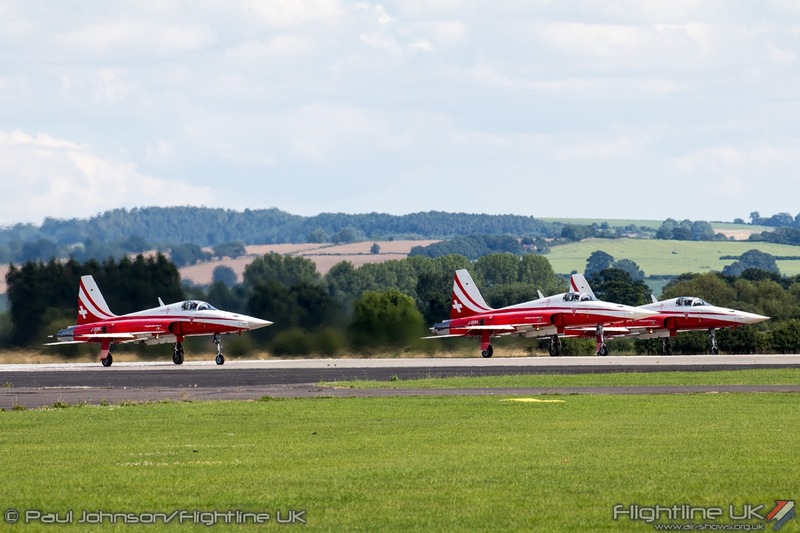 Their future had been in doubt as the Swiss Air Force looked at retiring the F-5, but they were reprieved in 2016 when the Swiss government chose to retain the F-5 as an aggressor and target aircraft for training purposes. 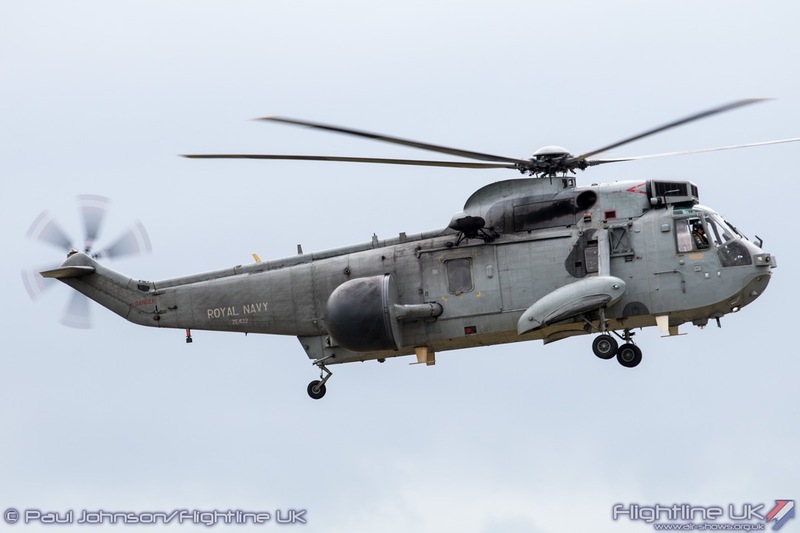 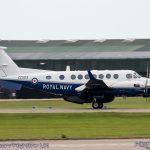 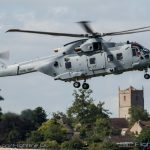 2017 became something of a challenging year for the organisers of RNAS Yeovilton International Air Day with so few current Royal Navy assets available and so few associated historic aircraft being airworthy. 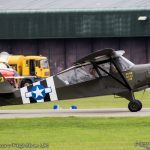 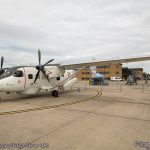 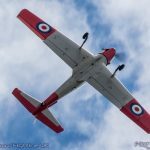 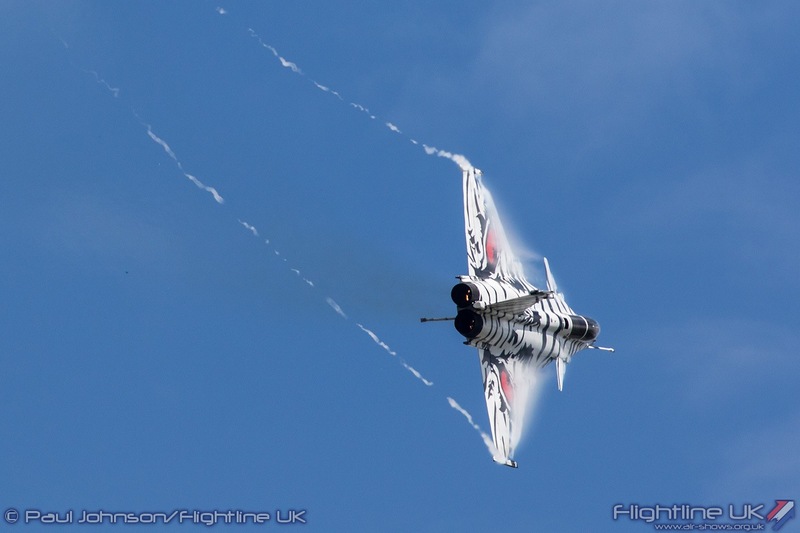 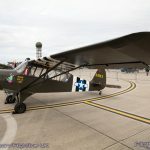 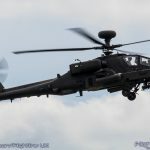 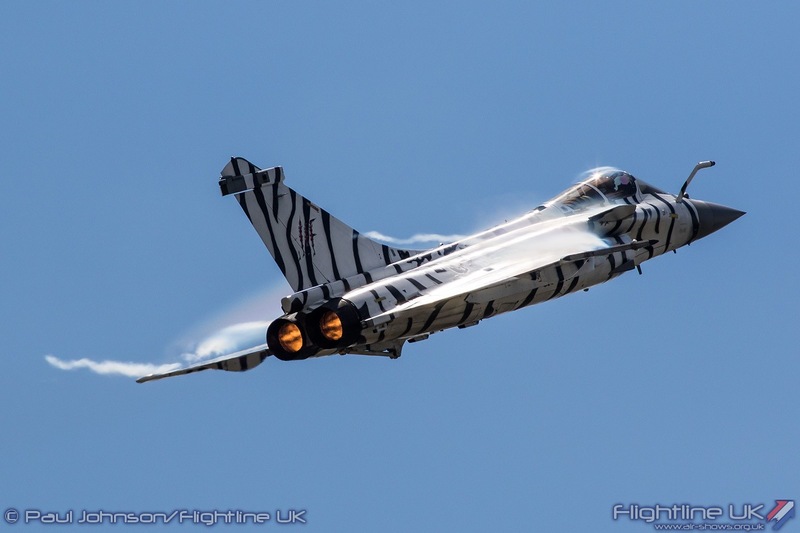 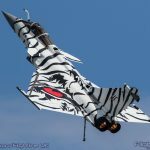 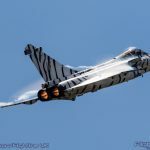 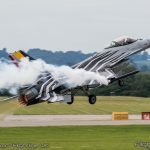 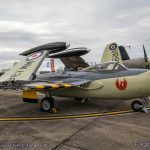 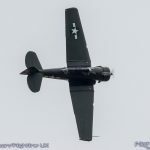 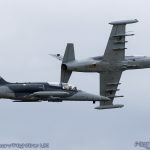 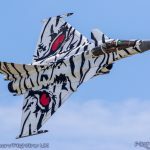 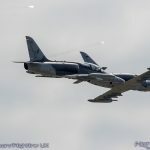 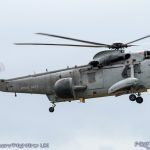 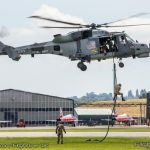 However, Yeovilton still served up a hugely entertaining Air Day full of interesting aircraft and displays, many of them that will not be seen at any other UK show this year. 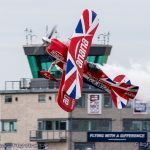 We look forward to being back in 2018!